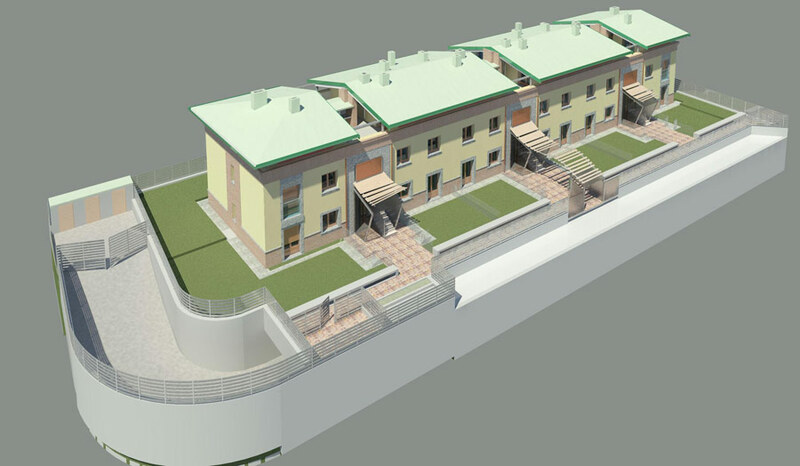 The competition brief for 33 new social housing apartments with underground parking required designs to be based on the concepts of bio-architecture and sustainability. 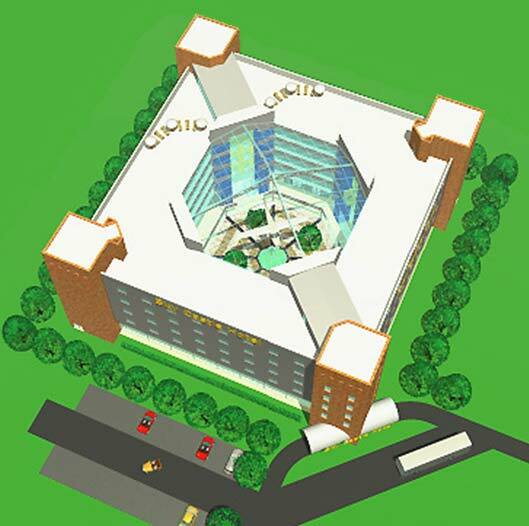 The diagonal symmetry of the design, highlighted by the taller central "tower" and the main entry to the complex from the public square, reinforces the direct relationship between the private and public spaces. 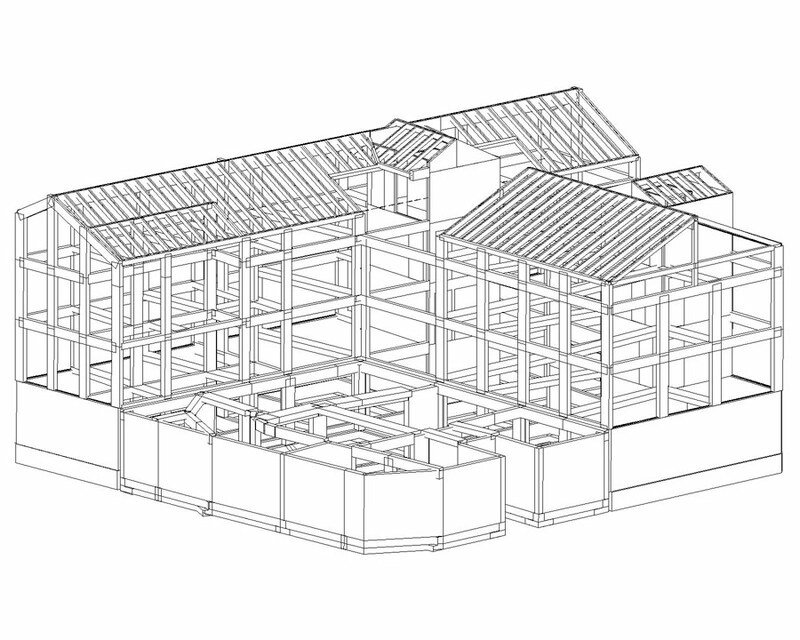 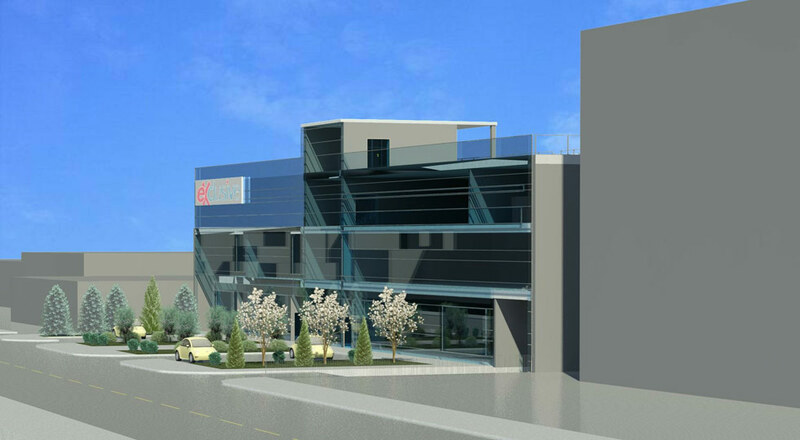 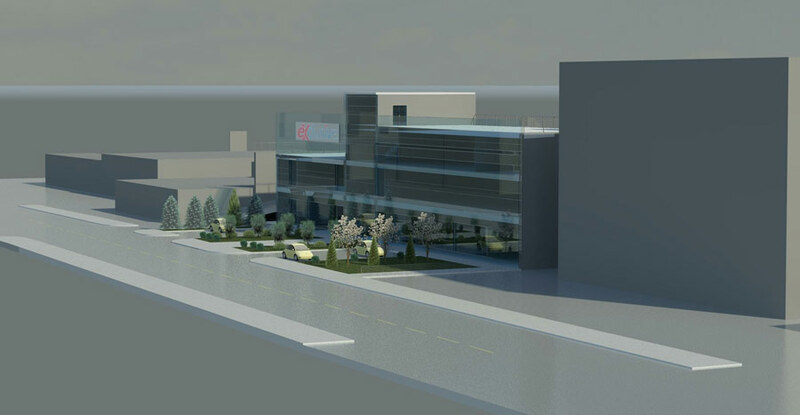 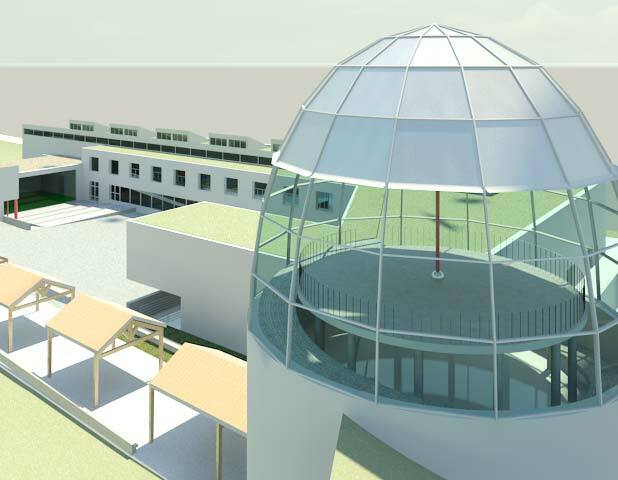 The project in currently under construction and will be completed in spring 2013. 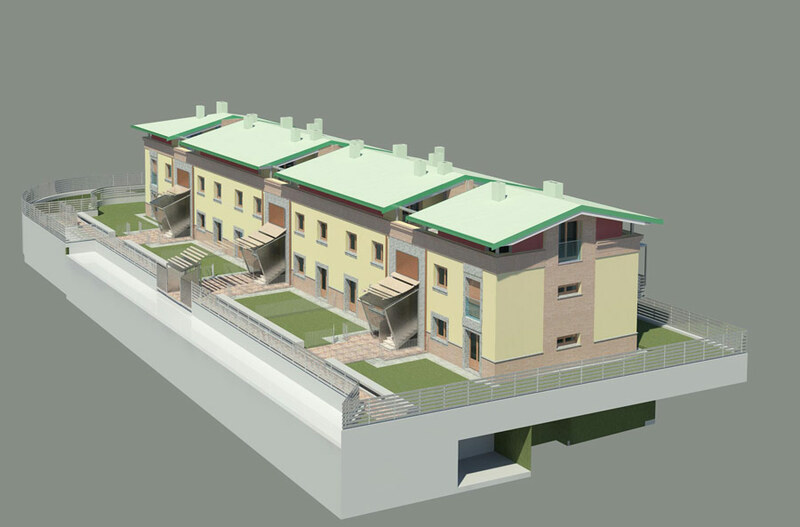 The original plan for the redevelopment of this area, situated on the site of the Roman city of Mediolanum, the historical name for Milan, was prepared by the council in the mid-eighties, and took over twenty years to come to fulfillment. 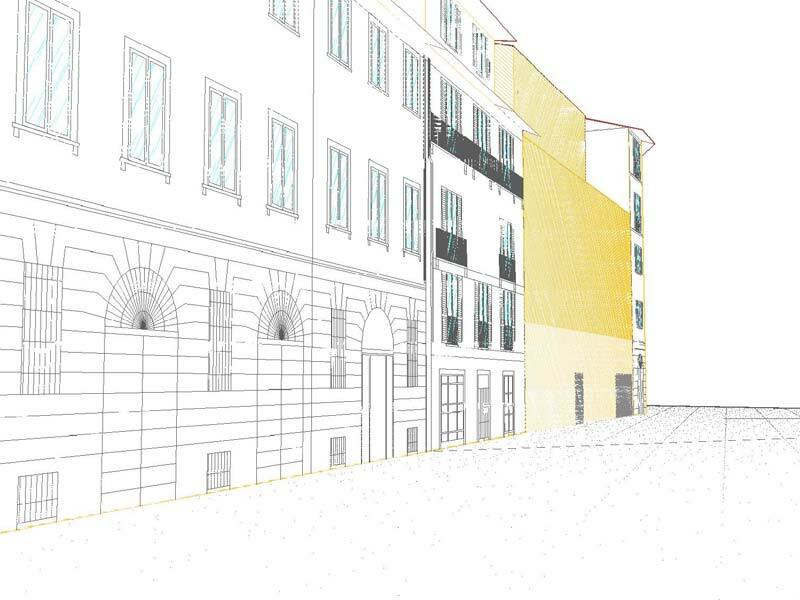 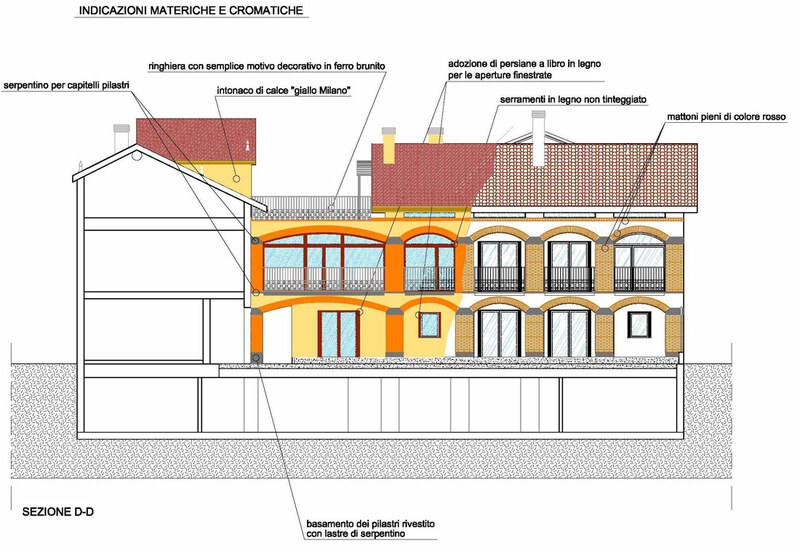 The project for these two sites, situated near the famous "Colonne di San Lorenzo", is currently in the preliminary design phase, and will include 12 apartments and six "laboratori artigianali" (workshops or professional studios) on the ground floor. 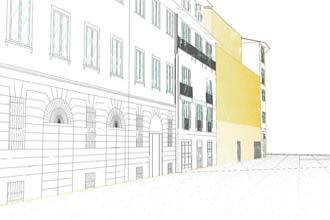 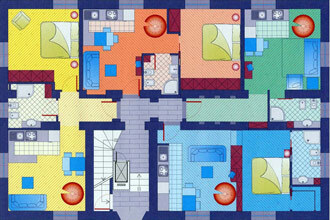 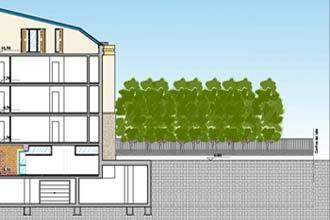 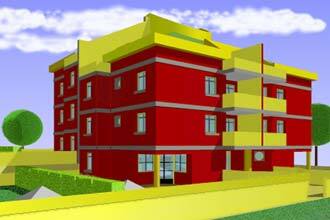 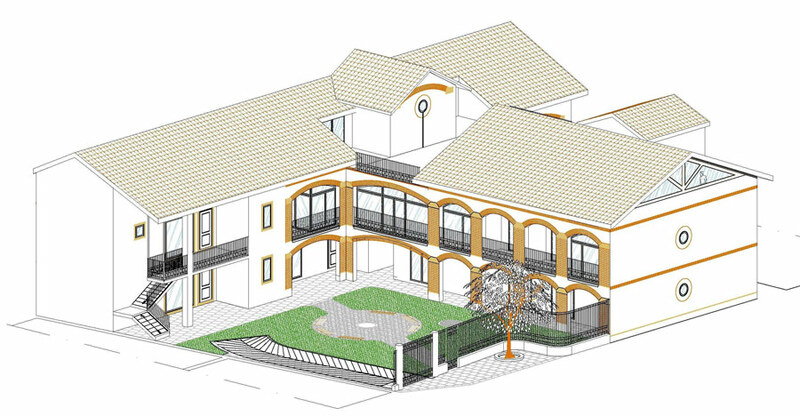 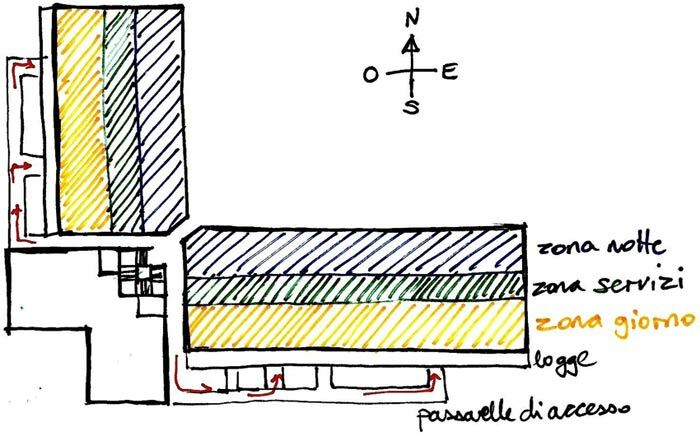 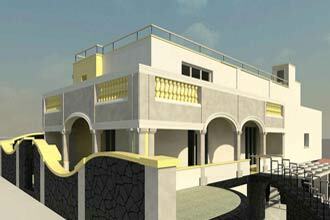 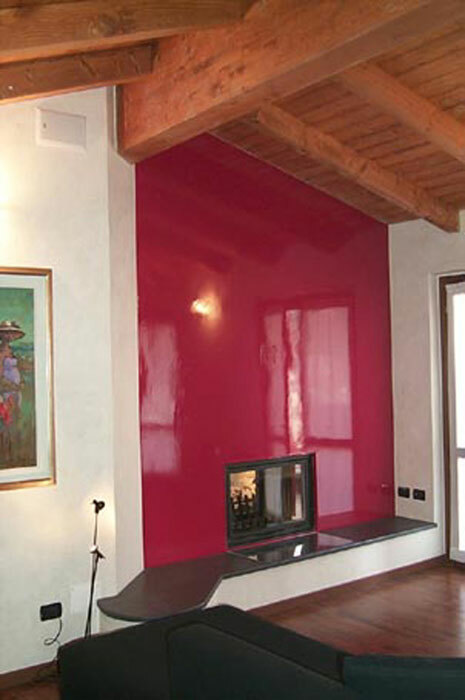 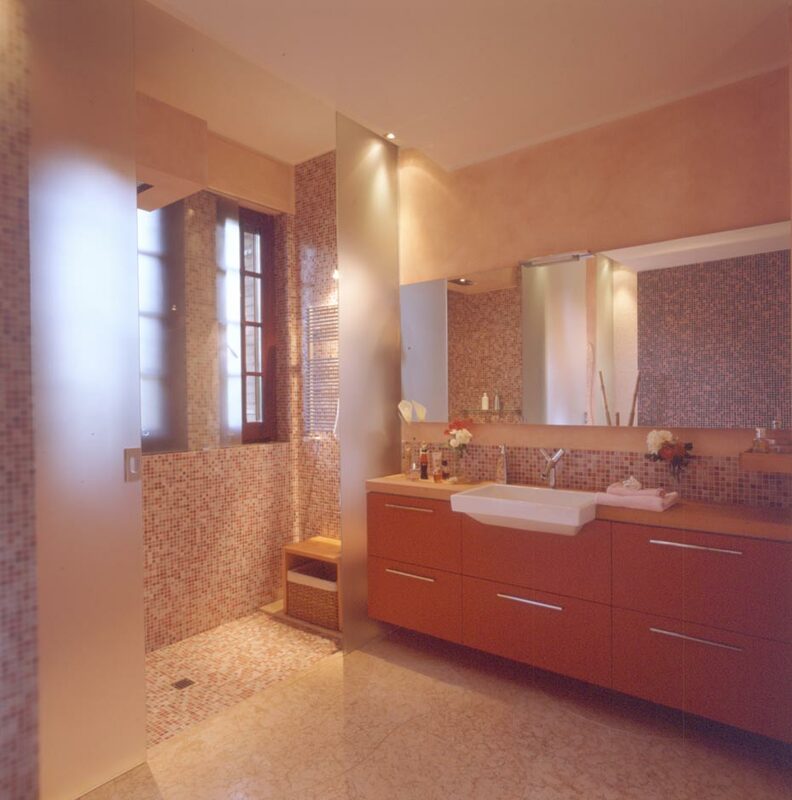 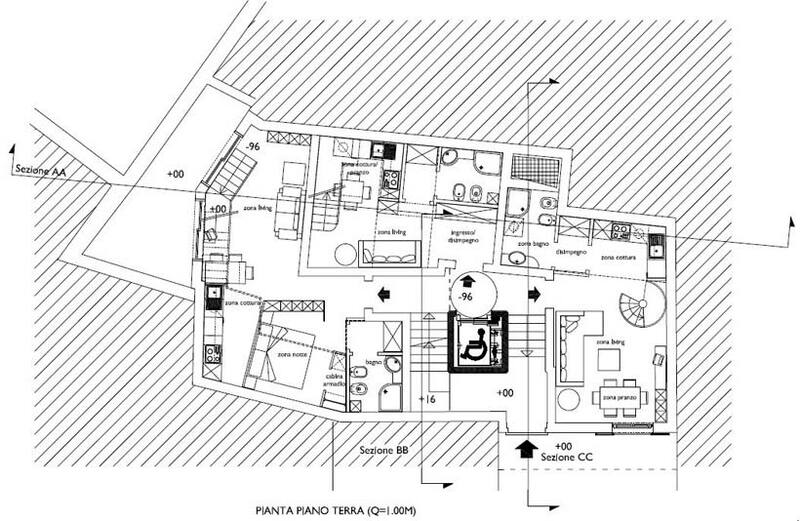 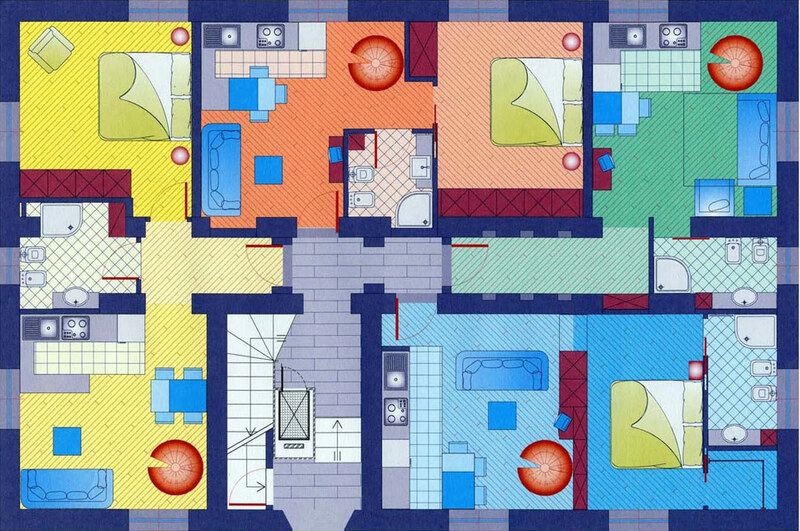 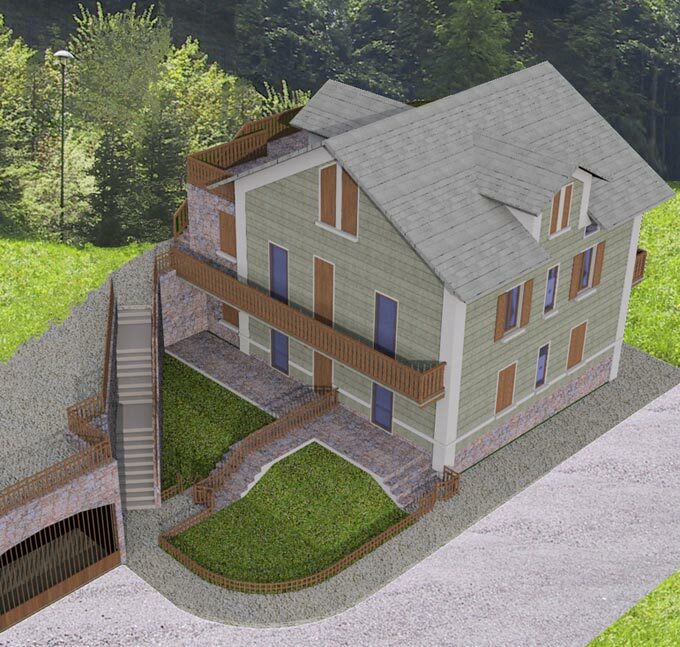 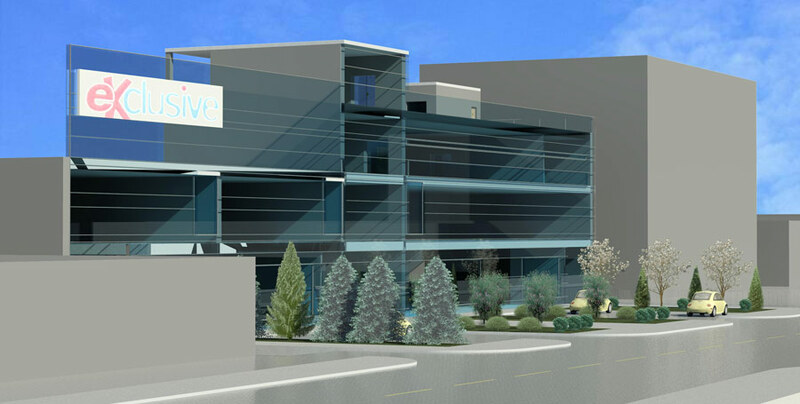 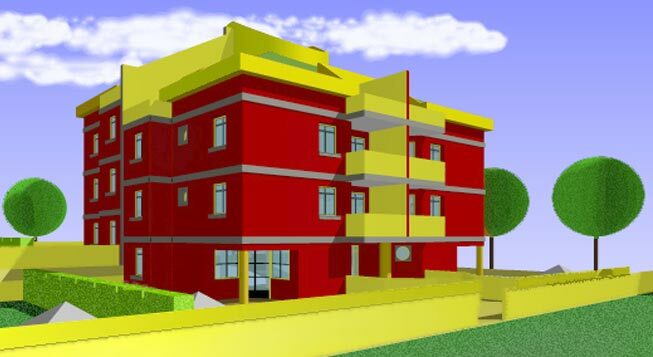 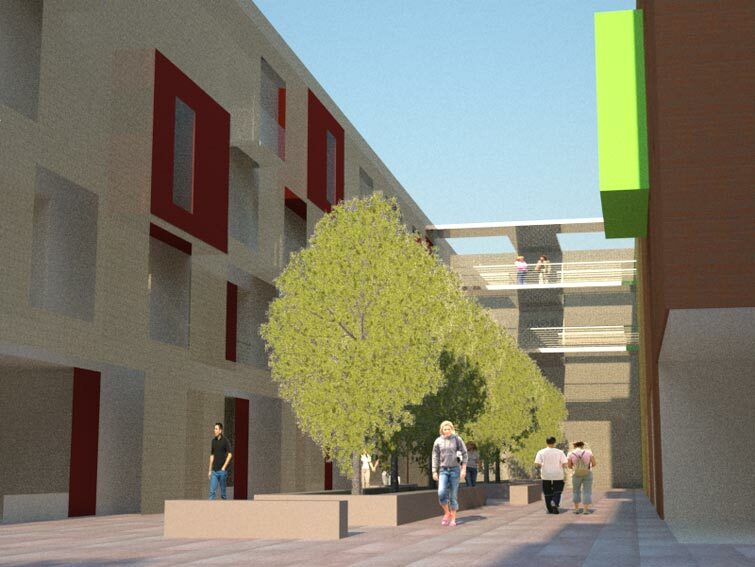 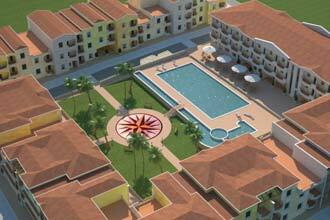 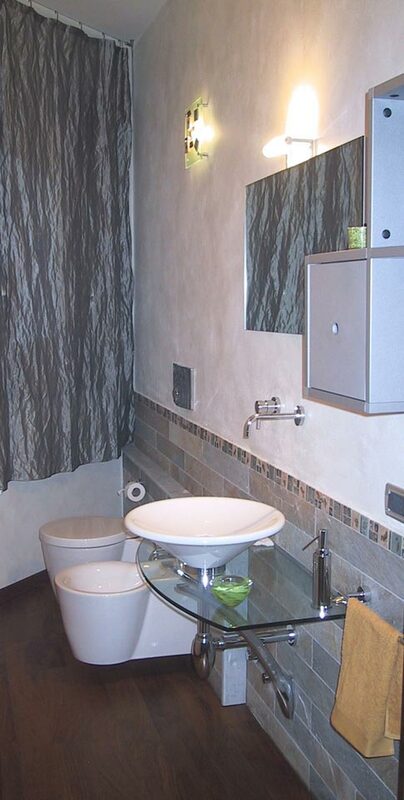 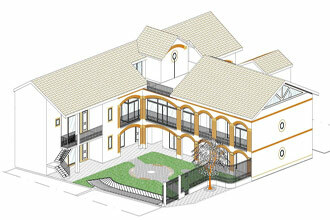 Close to the Duomo, this exclusive complex will feature advanced building system technologies. 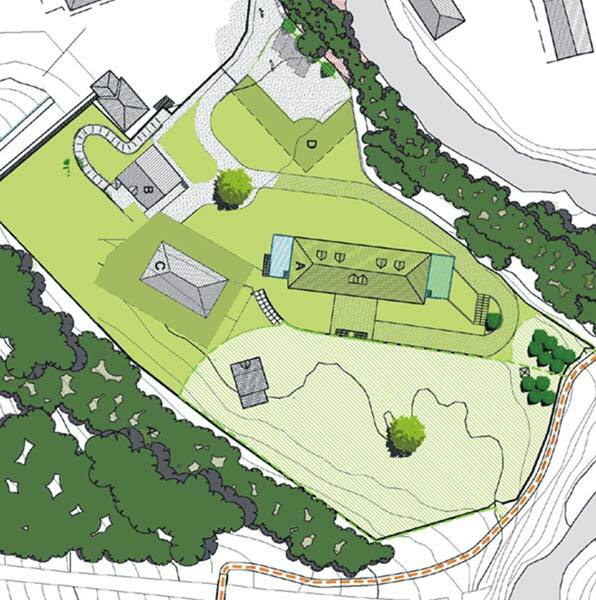 Preliminary archeological excavations are currently underway on the site, prior to the design development. 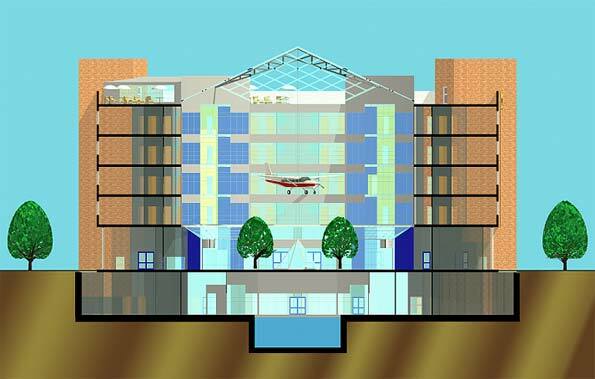 The project features two building typologies: high-rise towers that form the new urban square, and lower buildings, staggered along the surrounding road that give access to the large underground car-park. 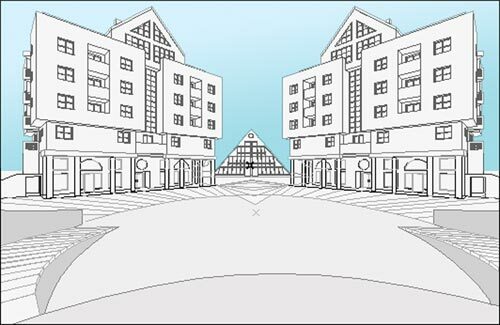 Services for inhabitants, including a theatre and multi-functional room are all located in the light-blue pyramid, linked to the sports centre by a long, pedestrian ramp. 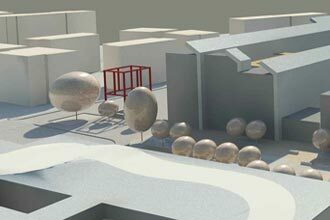 A small stage, that opens towards the Alps, closes the square. 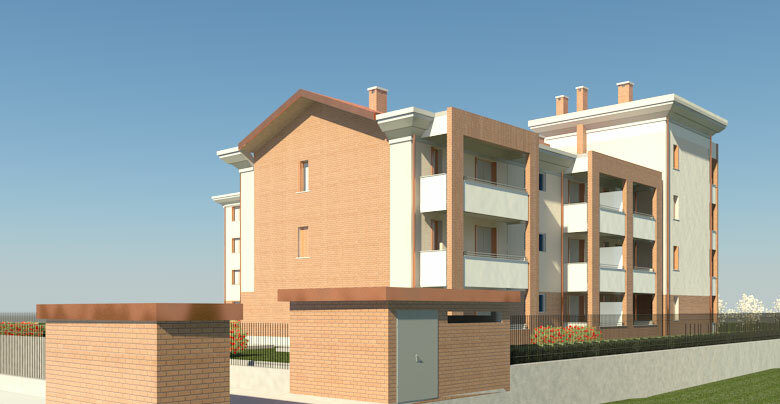 The site for this important social housing competition, regarding the design of 320 apartments, shops and a social services centre, is situated on the outskirts of Milano between the small town of Figino and a large expanse of agricultural land. 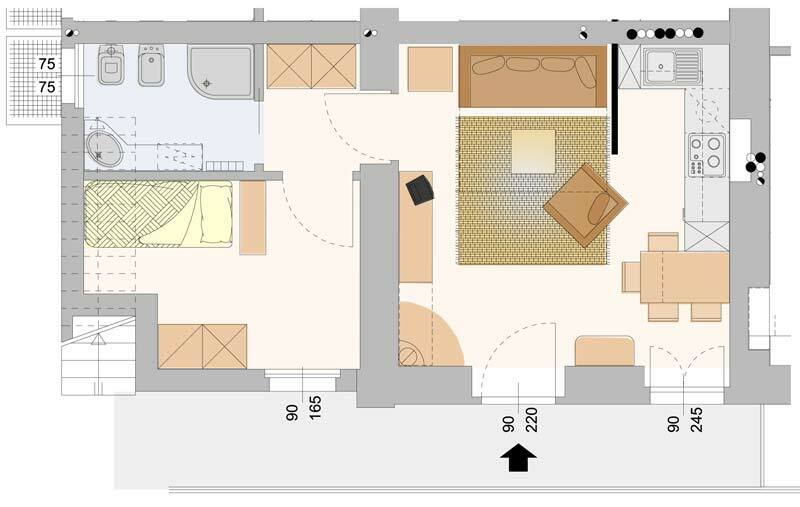 The project aimed at providing a series of spaces for collective use, including a laundry, workshops and flexible living spaces with that could be easily adapted to a variety of different occupants, including apartments with ground floor studios to be used as home-offices or professional practices. 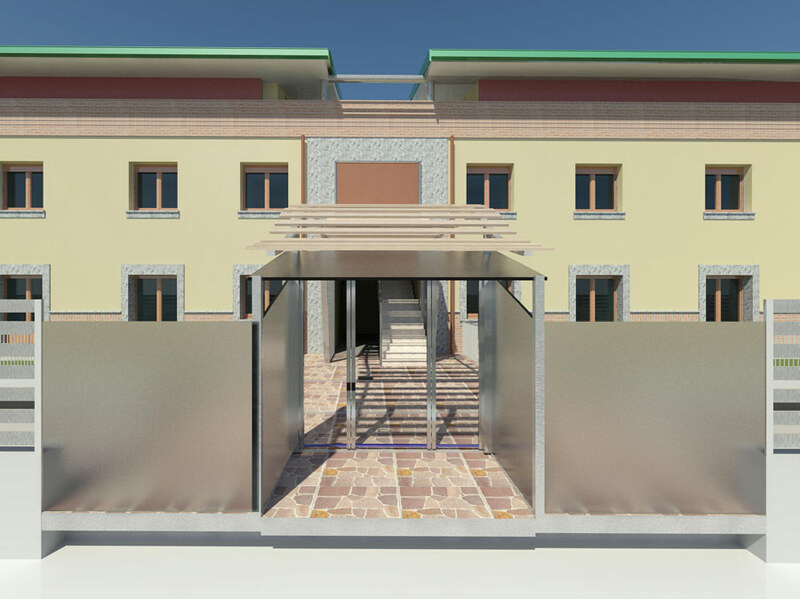 Building services based on cogeneration and solar energy guarantee the sustainability of the project, one of the key issues of the competition. 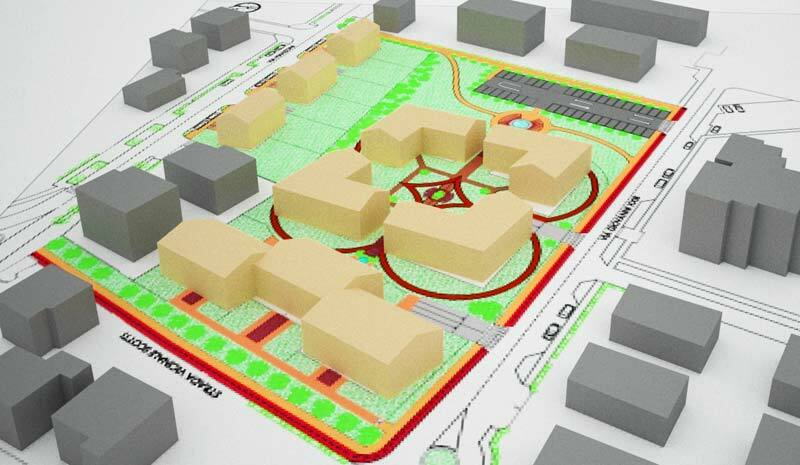 The project aimed to encourage a close relationship between the occupants and the surrounding agricultural context, by including urban vegetable gardens, public parks and semi-private gardens between the buildings. 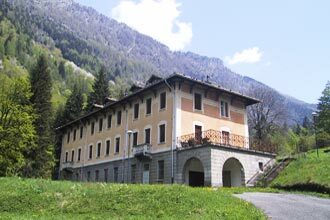 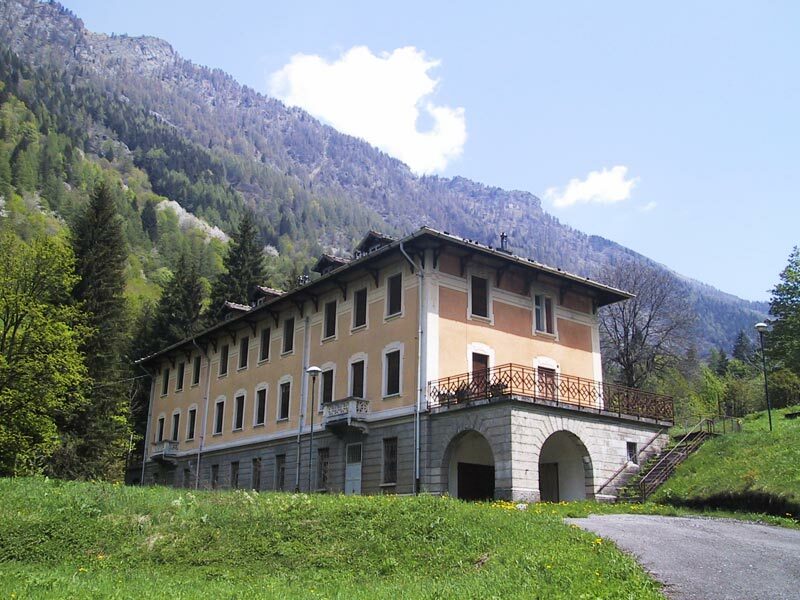 The complex is comprised of two main buildings, located near the ski slopes of Foppolo, is situated in 7000 square metres of green park. 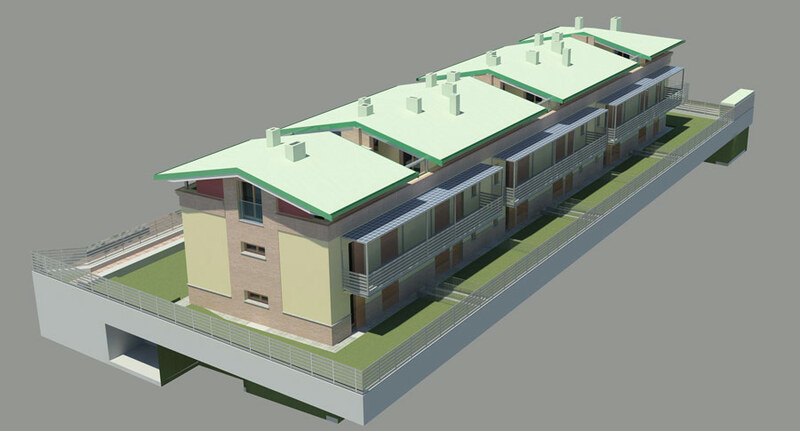 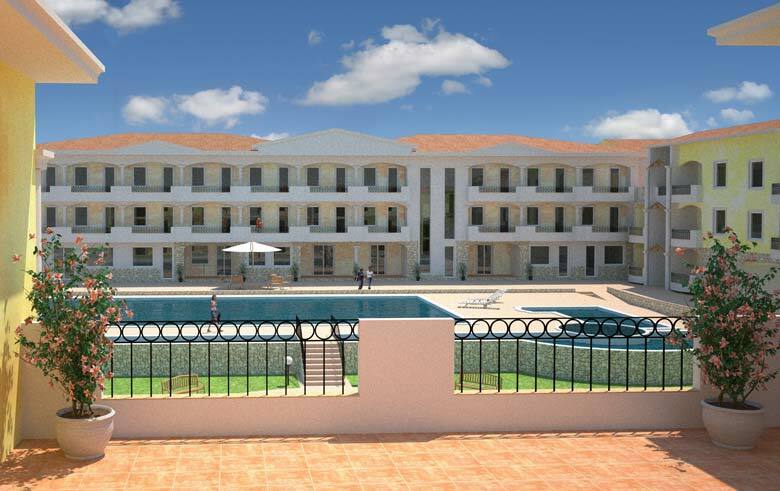 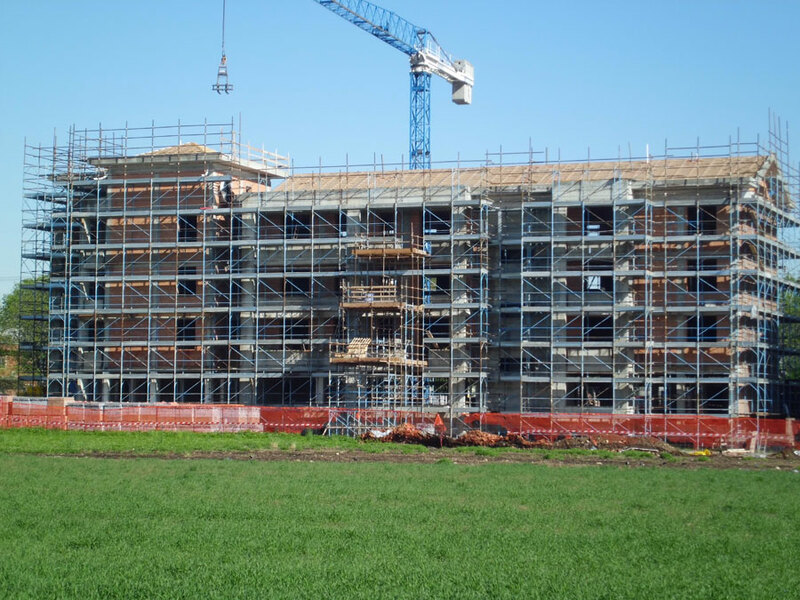 The project includes the refurbishment of the larger building as a hotel, while the refurbishment of the smaller building into 8 apartments has already been completed. 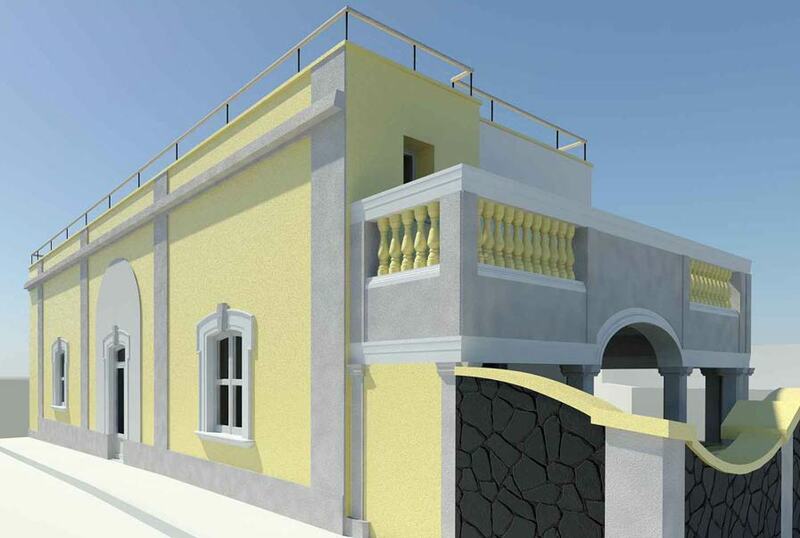 The project, now completing construction, involved the design of 3,500 square meters of new residential apartments and shops in the historical centre of Mazara del Vallo in Sicily. 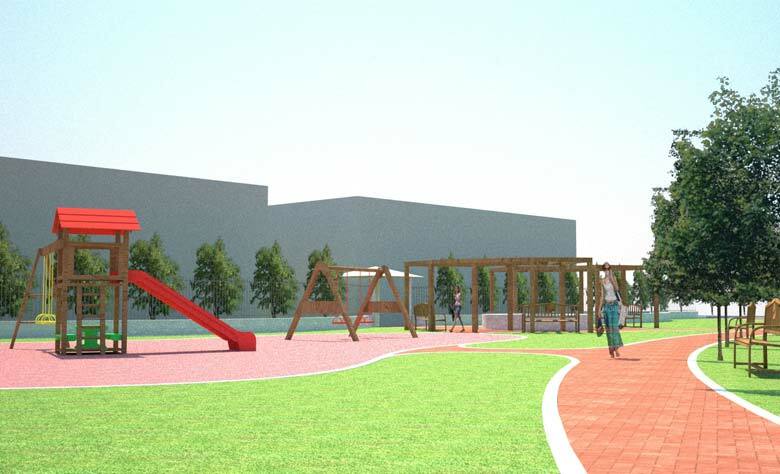 A public park, with a children's play area and refreshments pavilion completes the scheme. 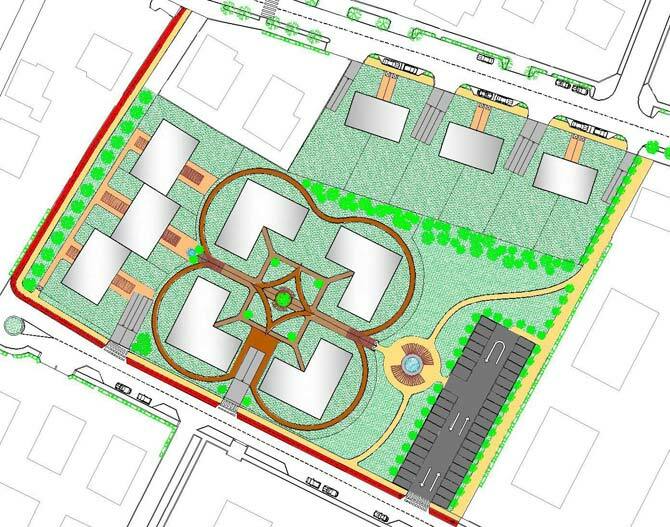 The conceptual design for this residential complex of over 4,000 squares has been completed and is ready for planning application. 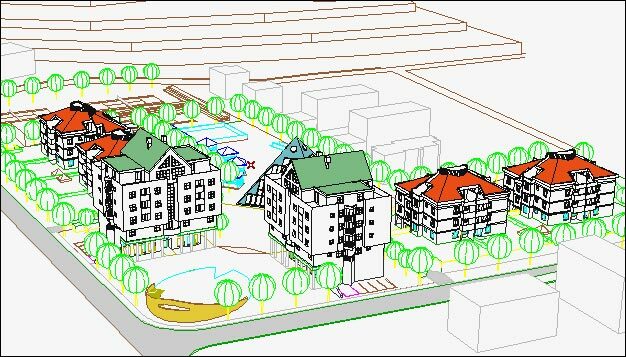 The project includes different building typologies - detached houses, terraced houses and low-rise apartment blocks - and a public park and parking area. 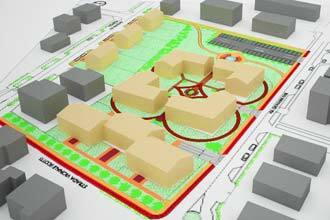 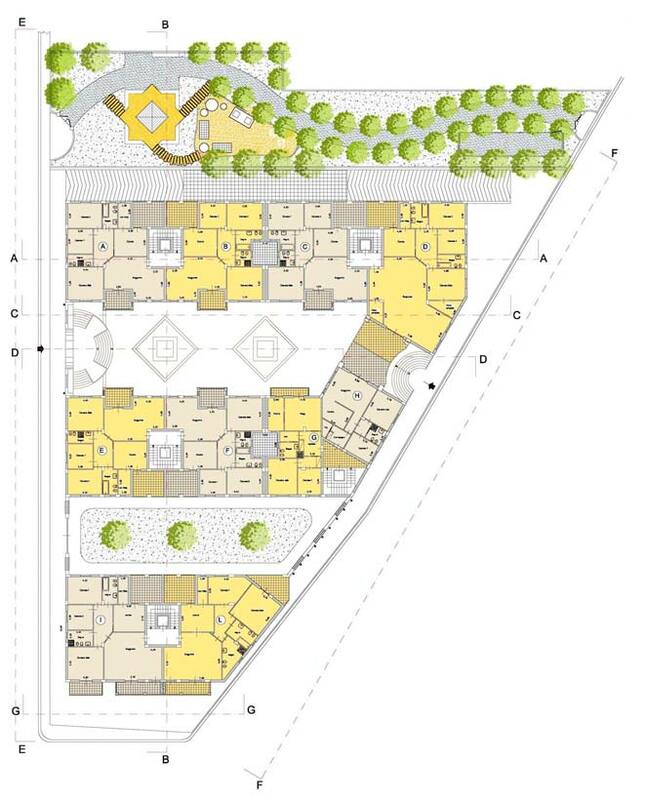 The four, low-rise blocks are situated within an external path in the shape of a four-leaf clover and located around a private green "square", that can be used by the occupants for out-door leisure and relaxation and help to encourage social relations. 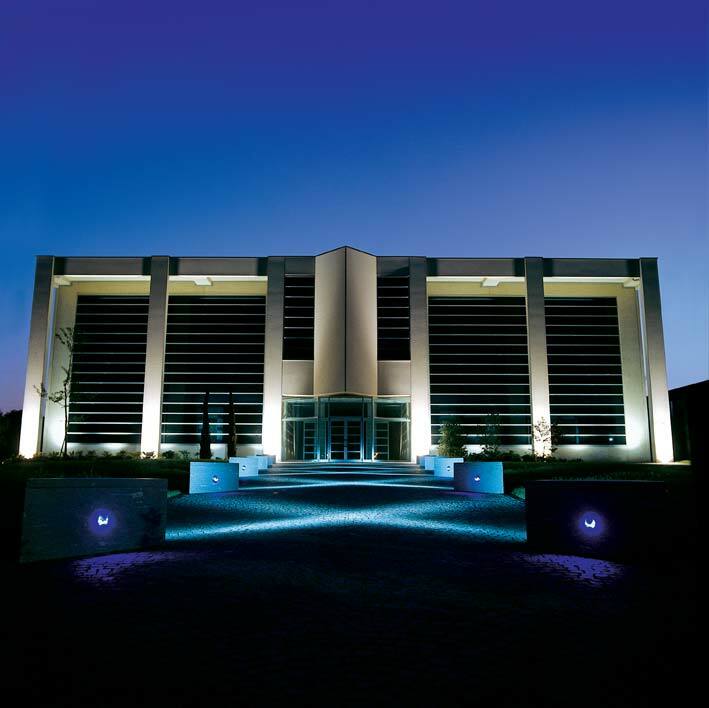 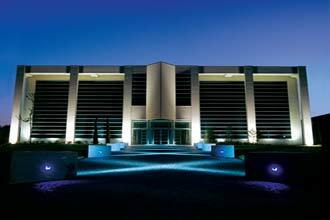 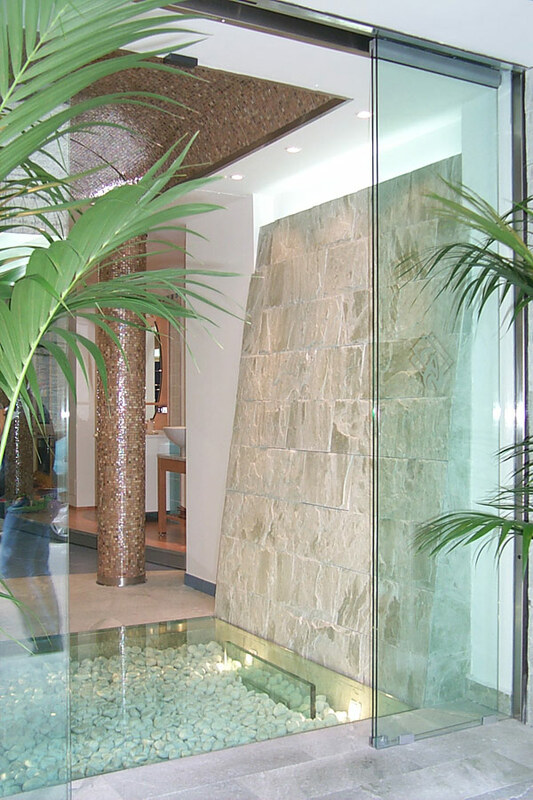 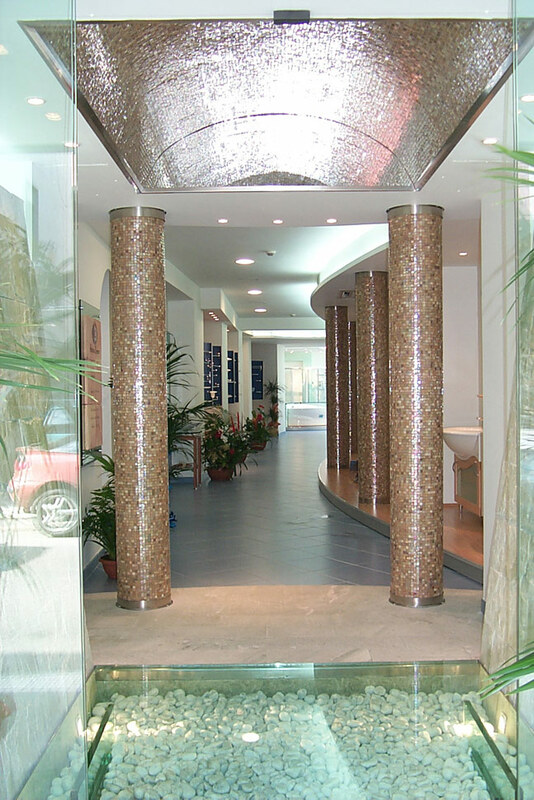 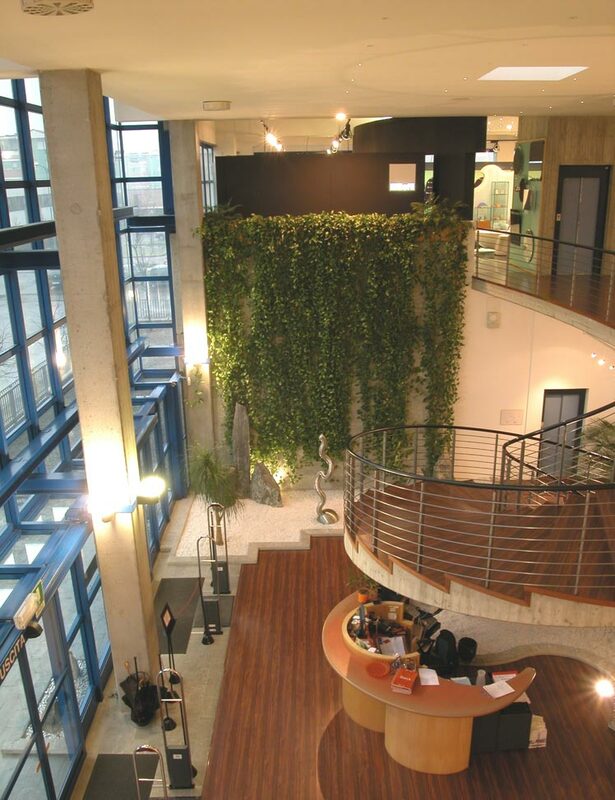 The project, completed in 2007, included the design of the main façade, the interiors for over 550 square meters of offices, a reception area, cafè, and visitors waiting area, and the landscape design of the large garden located at the entrance to the building. 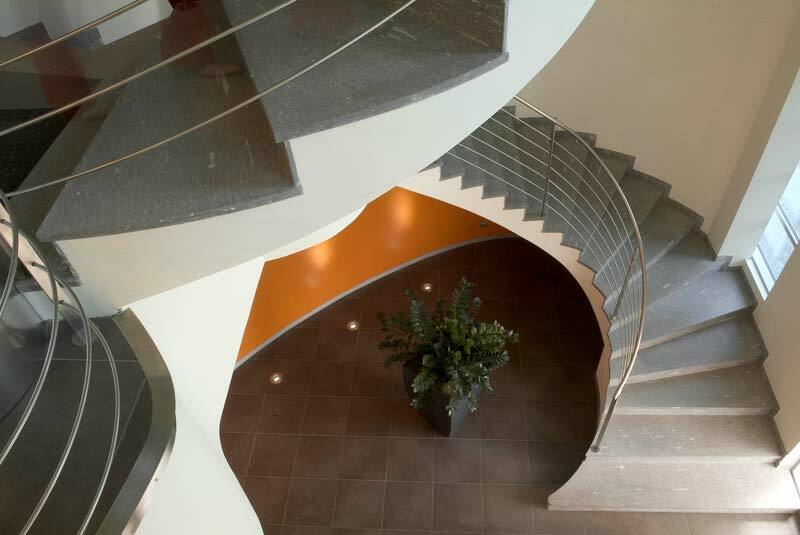 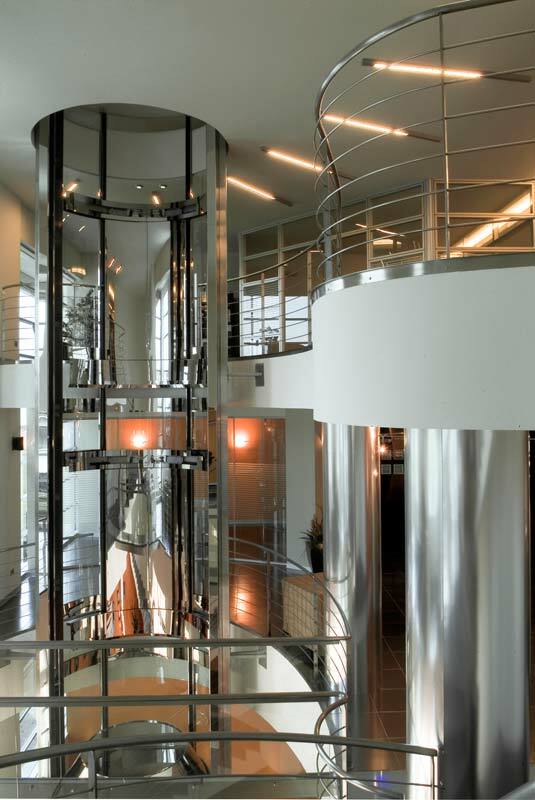 The interior features a large atrium, three floors high, a panoramic lift in glass, and a beautiful curved staircase in grey stone. 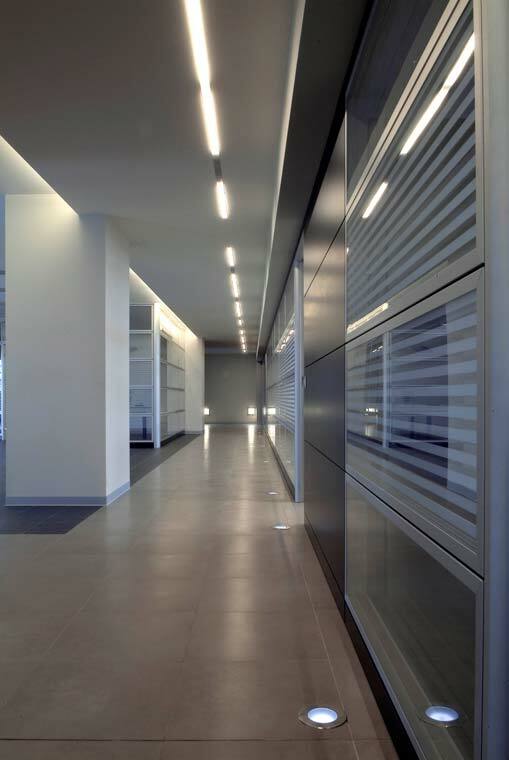 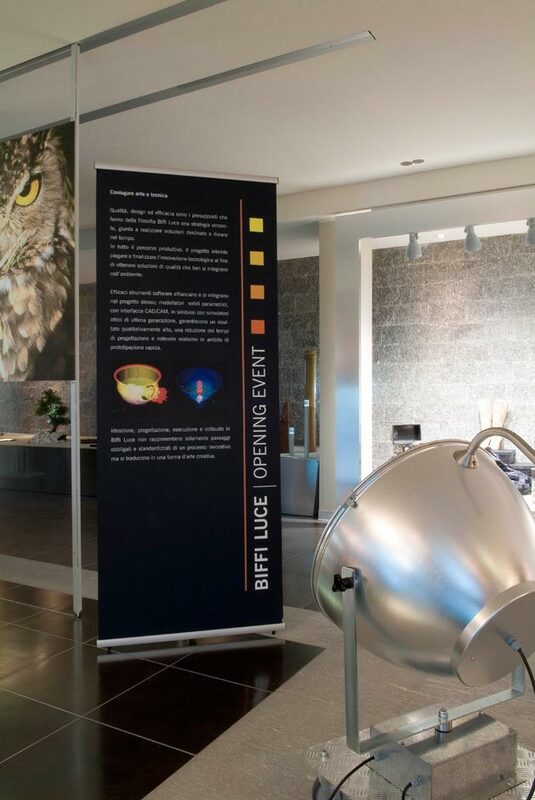 The building services include a radiating system for heating and cooling, located in the ceiling panels, whilst the lighting appliances, designed by Biffiluce, the client and building occupiers, are artfully arranged in the internal and external spaces. 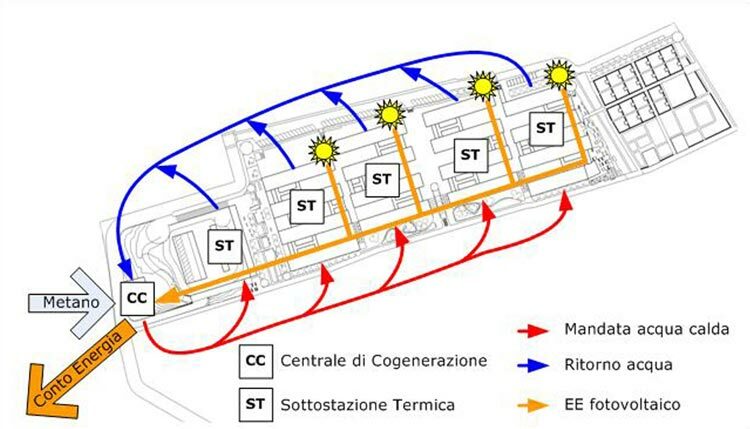 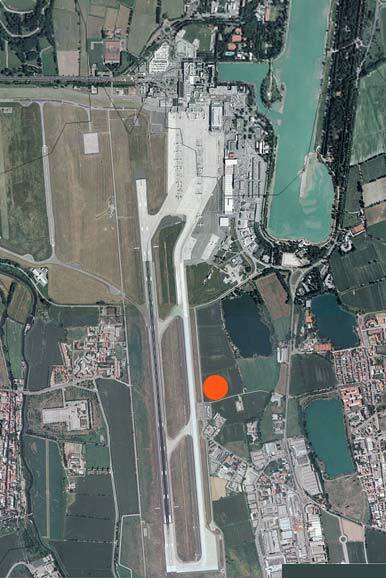 The conceptual design was commissioned by an important air-line for a site situated near the runways at Linate airport to the east of Milan. 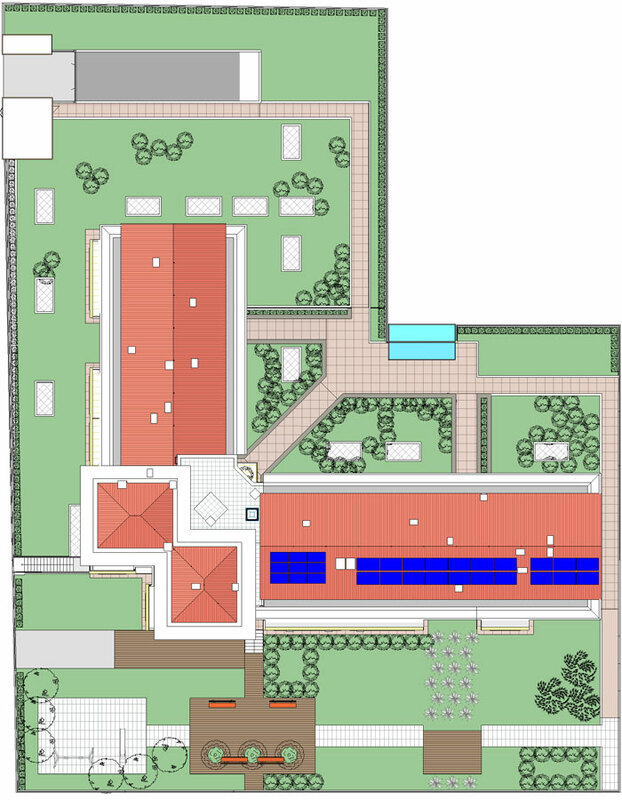 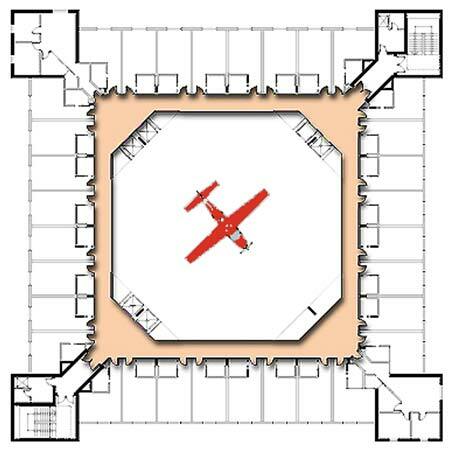 The main internal distribution spaces are situated around a square, covered courtyard - a building typology that evokes the castles of the Visconti family in Lombardy. 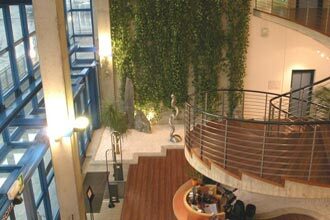 The hotel includes 132 junior suites and 8 luxury suites, conference rooms, bars, restaurants and a health and beauty spa with gym, swimming pool, sauna and squash courts, located in the lower ground floor. 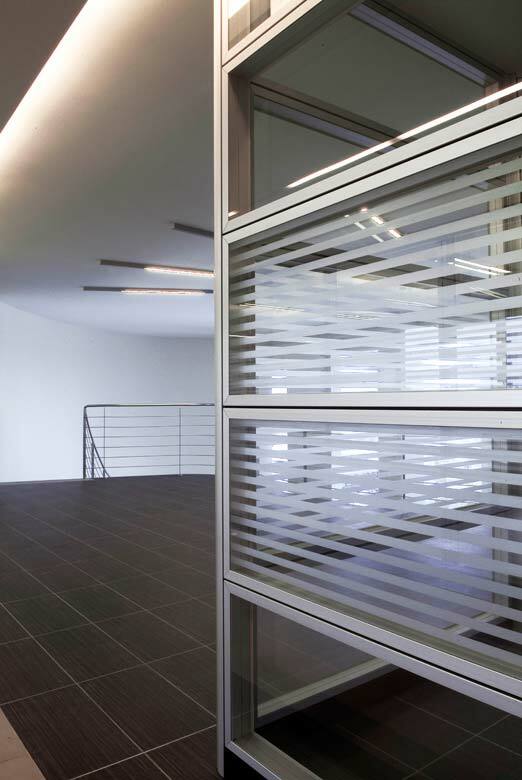 The windows are covered in a special steel fabric to reduce the extremely high noise levels that characterized the site. 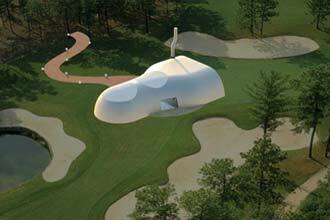 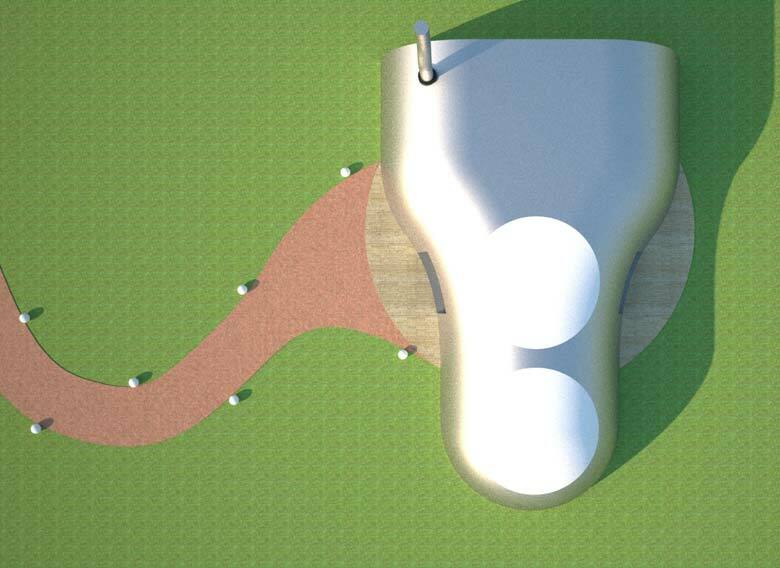 The project features a thermally insulated tensile structure covering an area of approximately 750 square meters, in the shape of a golf club, to be set up in public parks and gardens. 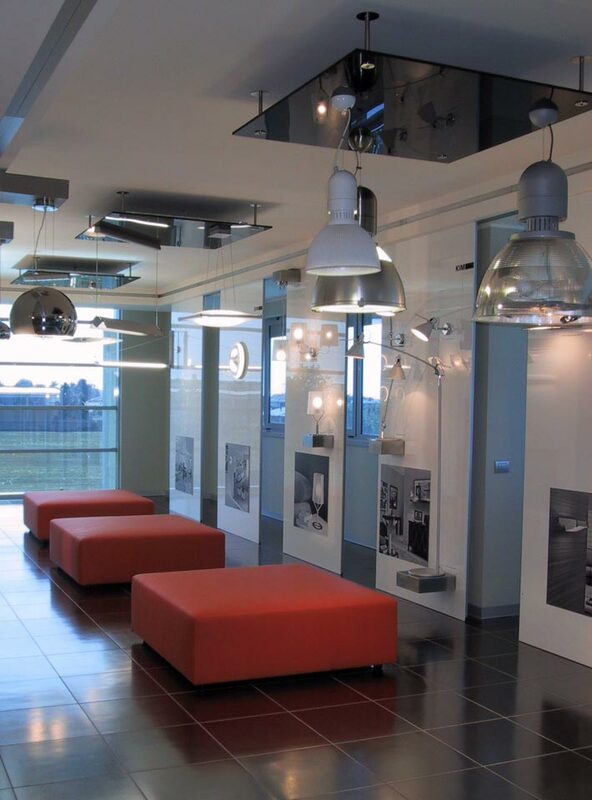 Inside, eating areas for business lunches, aperitifs, and family outings are distributed along the central concourse. 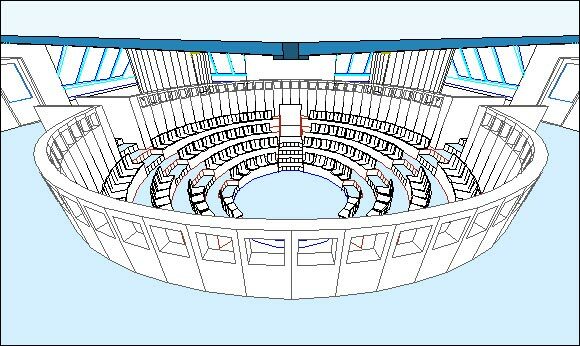 To one side, electronic games such as Wii and Xbox are available, whilst the curved area houses individual areas with screens and equipment for simulated golf. 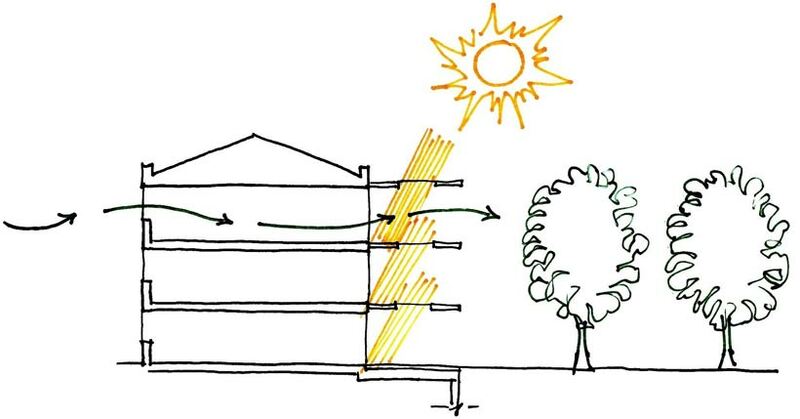 Solar energy is used to create a sustainable and practical solution that can be moved to different locations when needed. 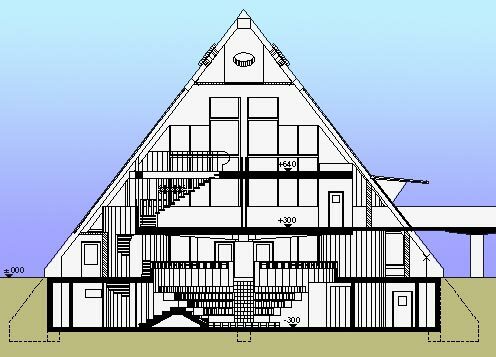 The goal? 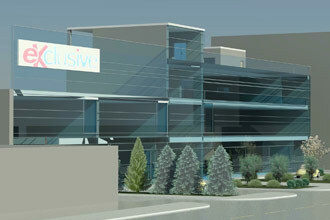 To create a leisure centre where everybody can enjoy this wonderful, but often exclusive, sport. 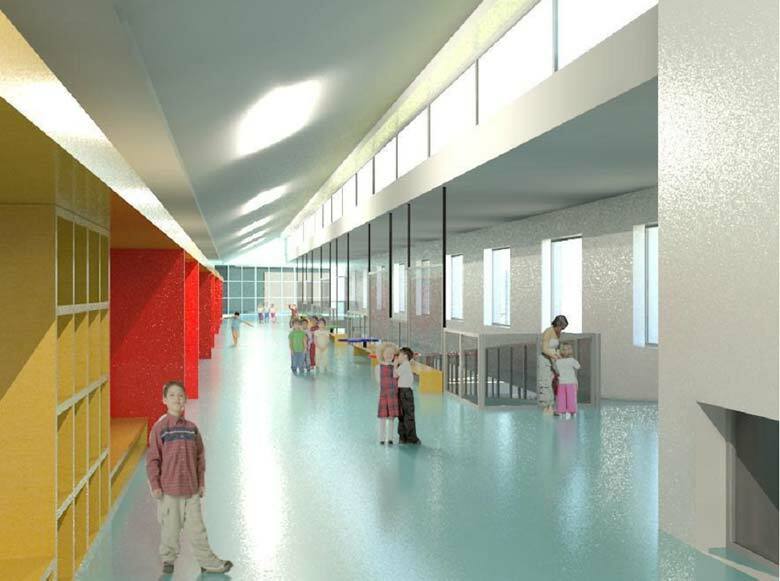 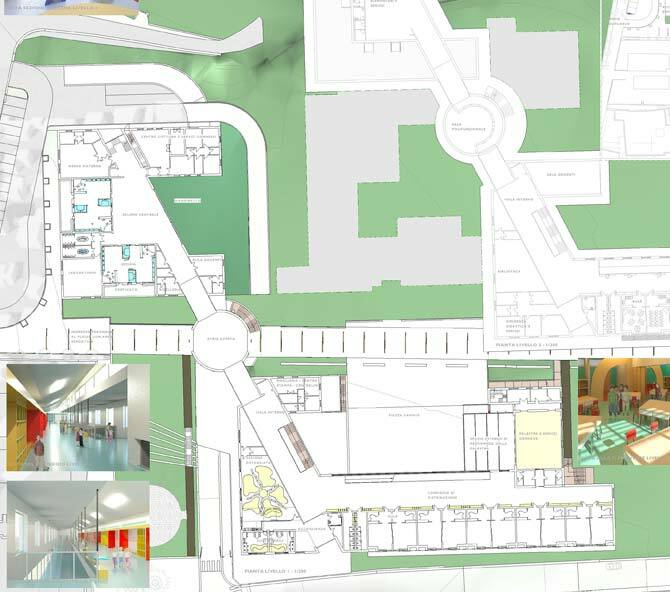 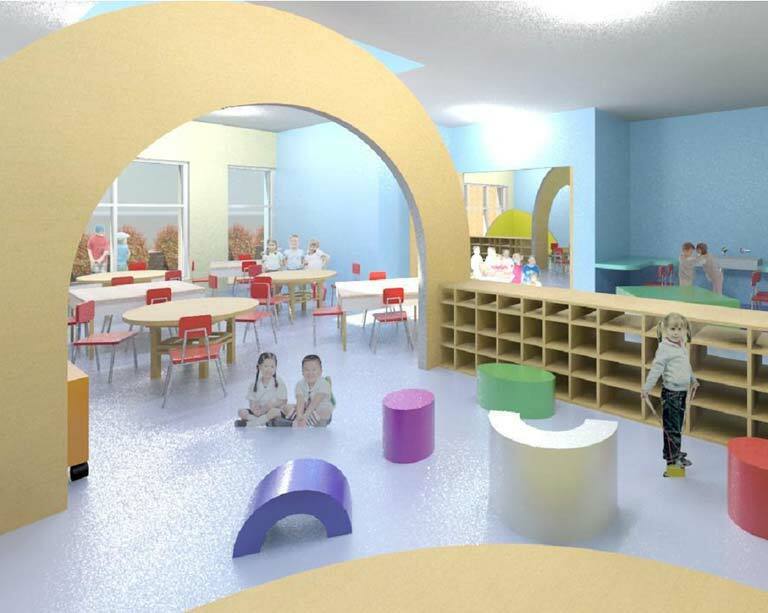 The competition regarded the design of two schools (infant and junior) on the site of an existing senior school, to create a new campus. 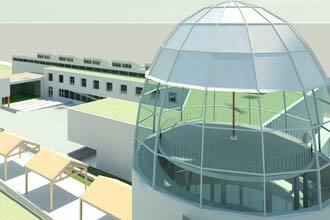 The complex site conditions and context resulted in a highly articulated solution, centered around the "scientific dome" that forms the symbolic and functional crossroads of the project. 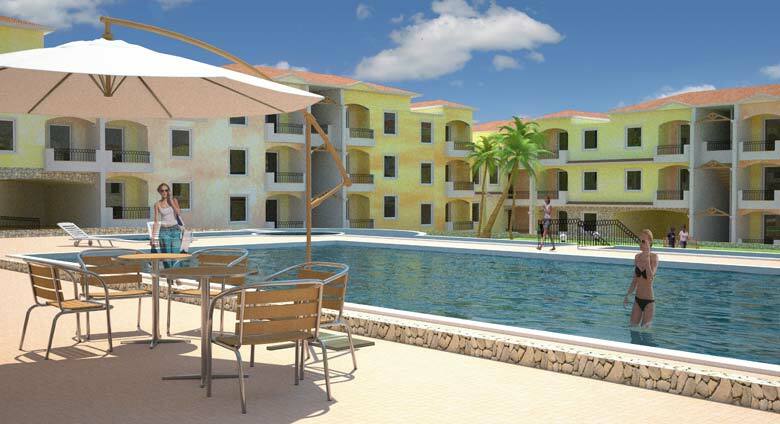 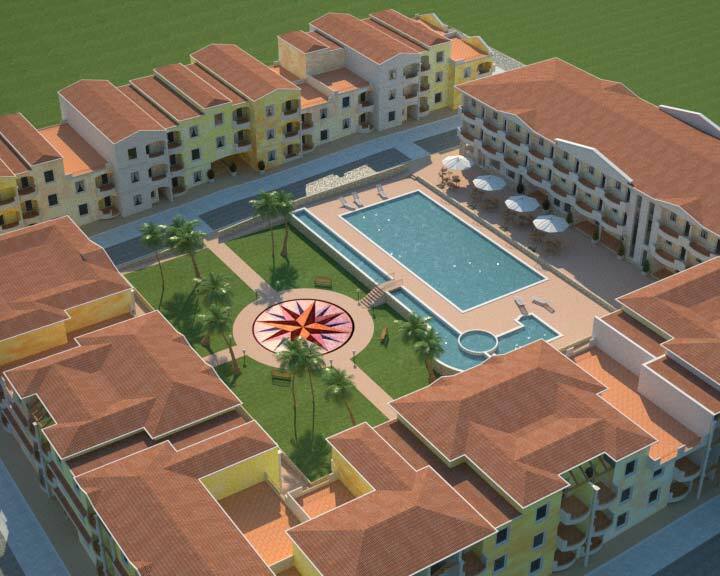 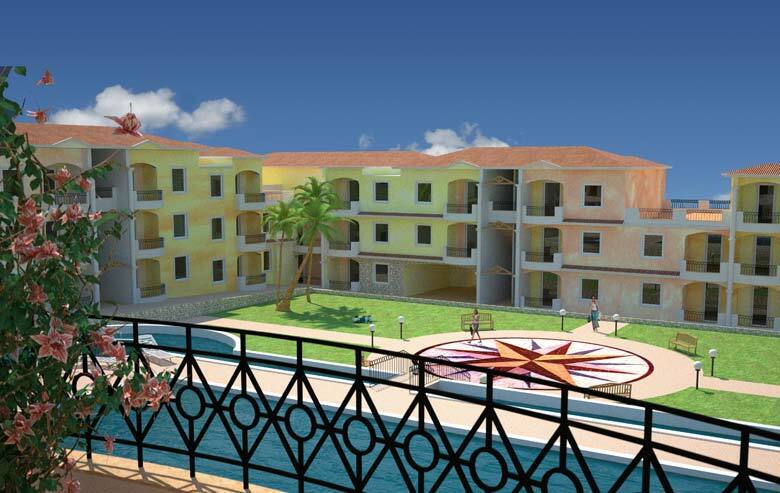 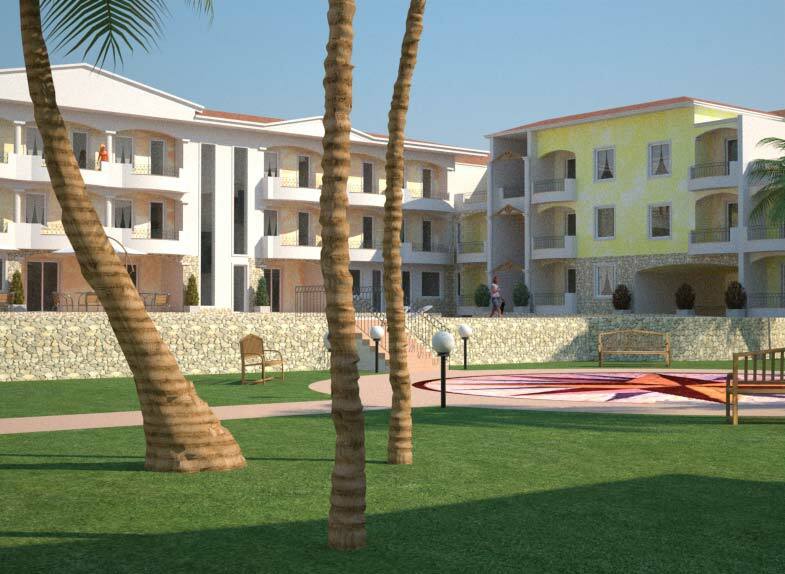 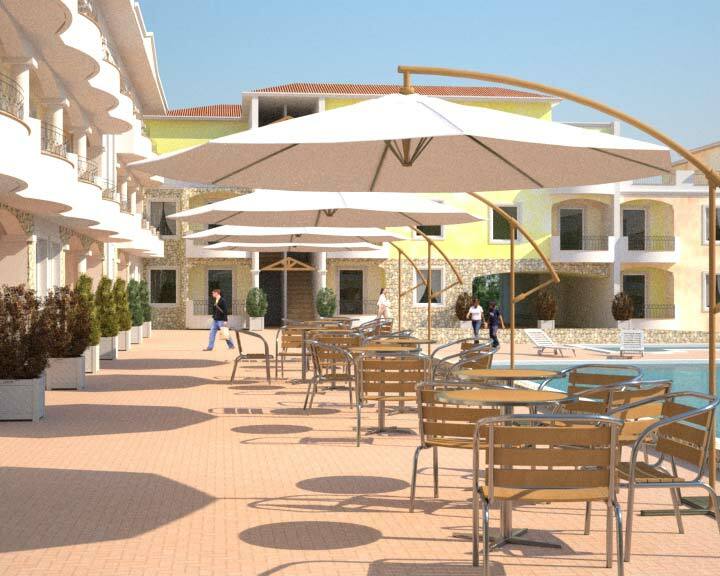 The commission involved the development of a photo-realistic, three-dimensional rendering of a resort with 120 holiday apartments, currently under construction in Sardinia, in order to assess chromatic solutions and materials. 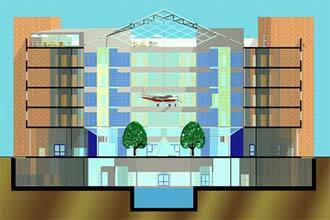 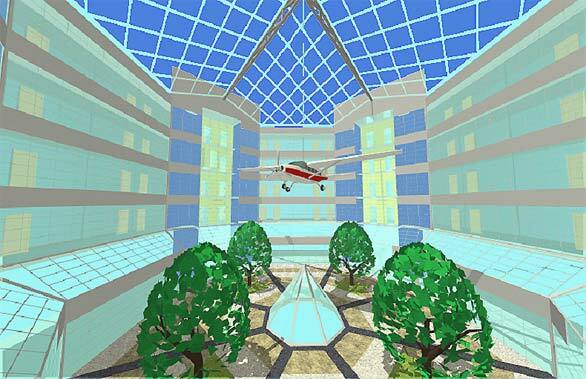 The commission included animated sequences, with virtual movement through the complex, for commercial purposes. 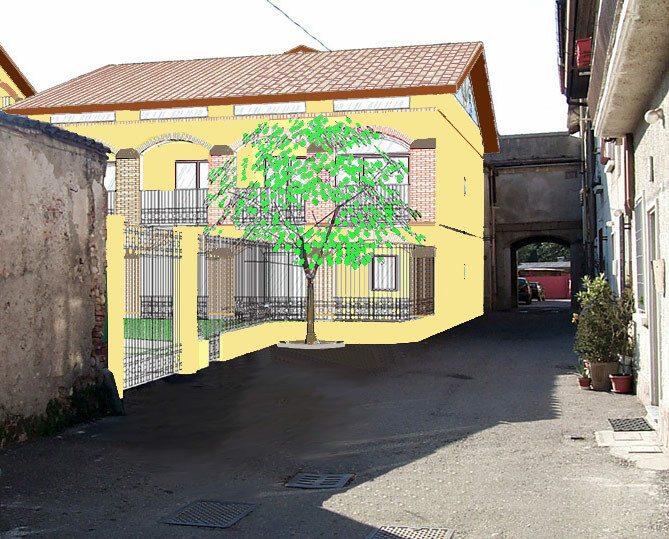 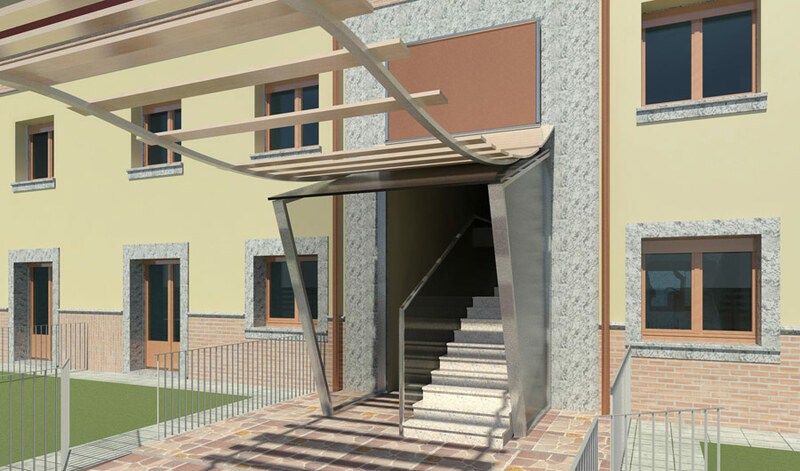 The project for the extension of this villa, situated in the south of Italy, aimed to conserve local building and living traditions, separating the spaces for social conviviality - centered around the inner courtyard and loggia - from the street façade that creates the interface with the urban context. 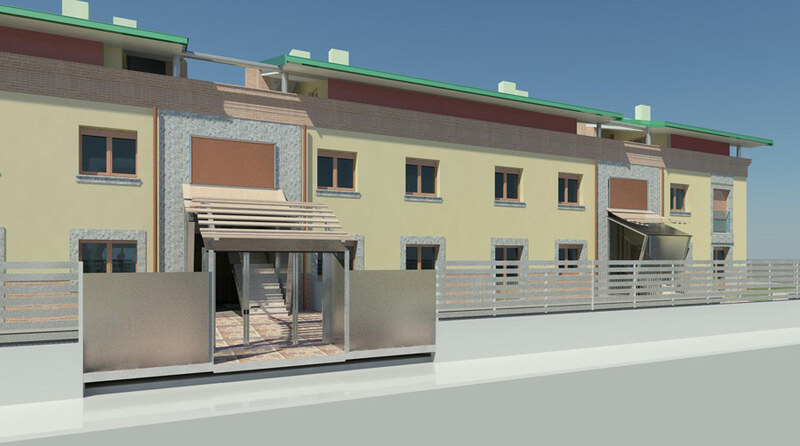 The original construction, built in the early thirties, has been increased proportionally by a module, and detailed with elements that maintain the original characteristics and building typology. 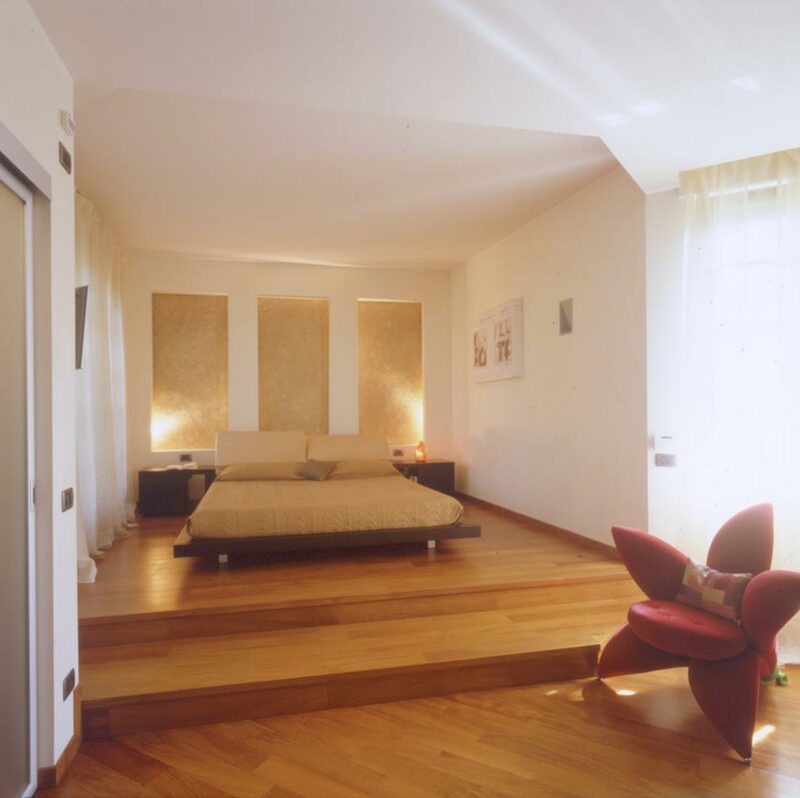 The 60 square meter apartment is situated on the attic floor of an beautiful old building at Villasanta, opposite Monza park. 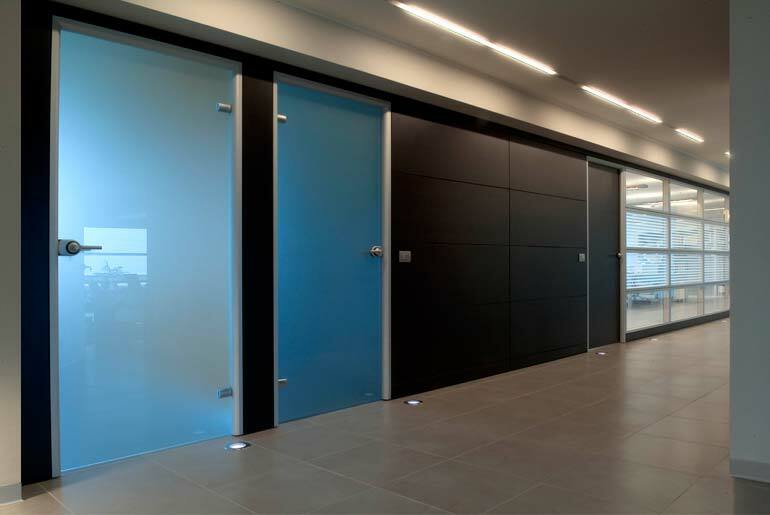 The aim of the project was to optimize the use of the limited interior spaces available, with decorative finishes and furnishings that create a contemporary and male ambient, ideal for the young professional client and occupier. 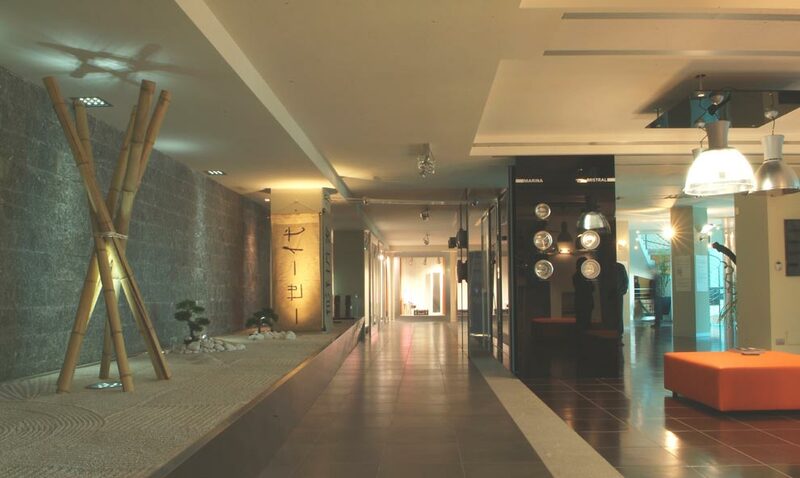 In addition to the offices, the project included the interior design of the 550 square meter showroom, with conference room, cafè and internal Japanese garden. 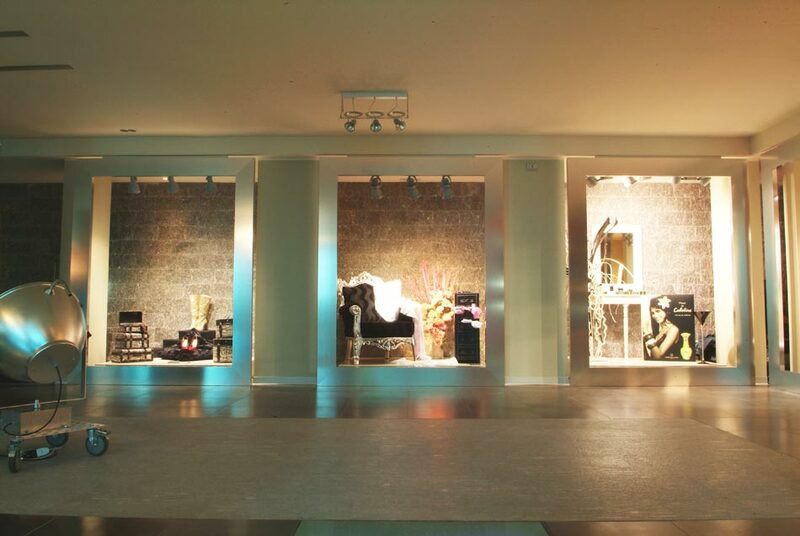 The showroom includes a series of areas designed to represent shop windows, enabling the client to demonstrate the various lighting solutions for retail applications. 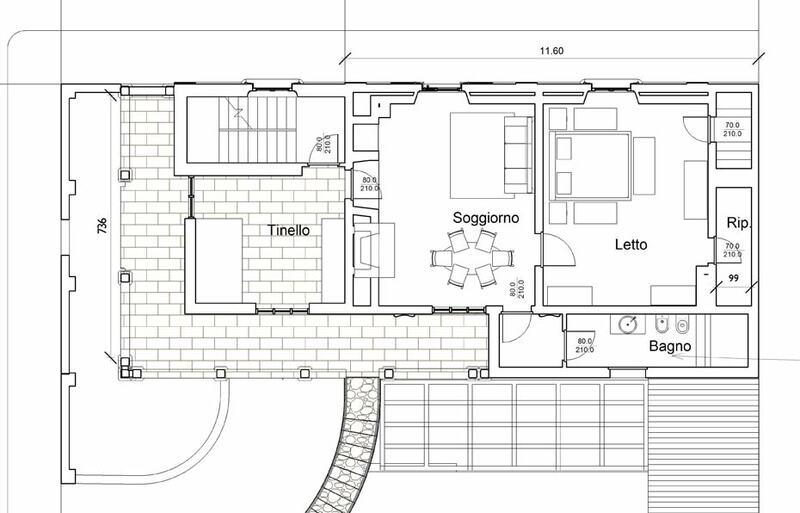 The goal of the project was the radical re-composition of the interior spaces in order to reflect the life-style of its owners - a young, dynamic and successful couple. 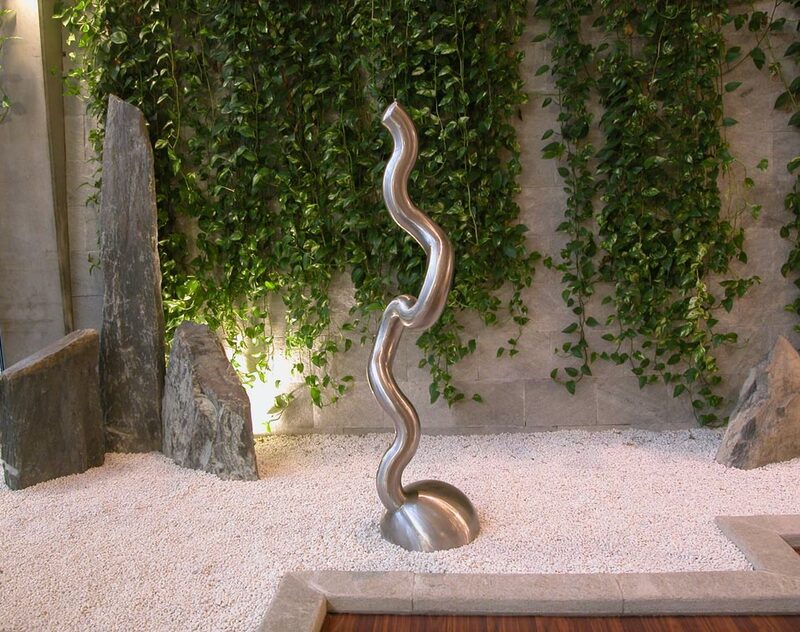 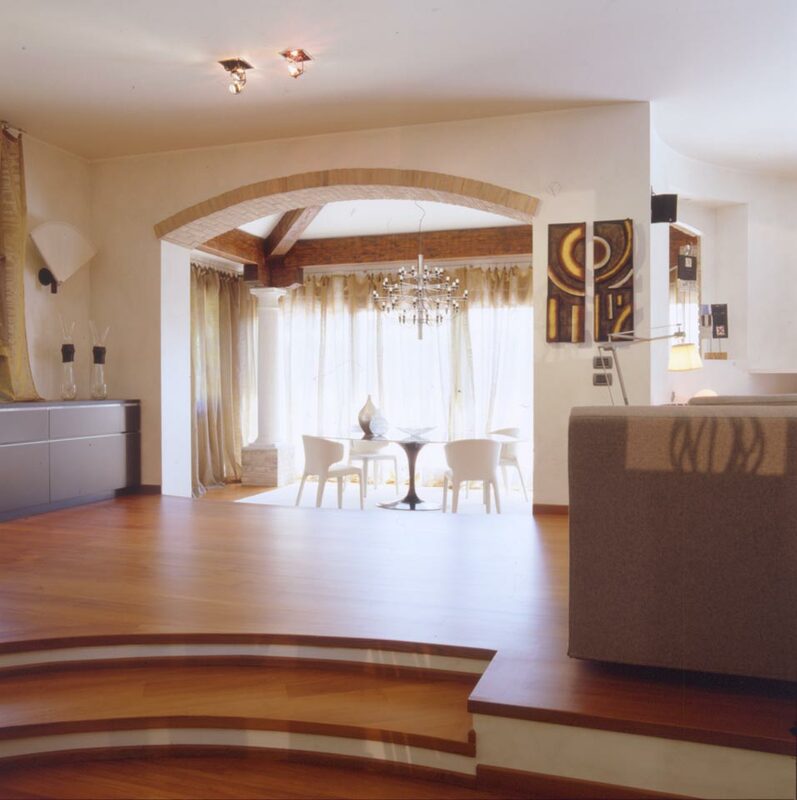 The villa, consisting of 600 square meters of living space set in 2200 square meters of garden with a private swimming pool and tennis court, has been completely refurbished: forms, furnishings, levels, materials, colours and lighting have been carefully juxtaposed to create a highly personal and artistic result. 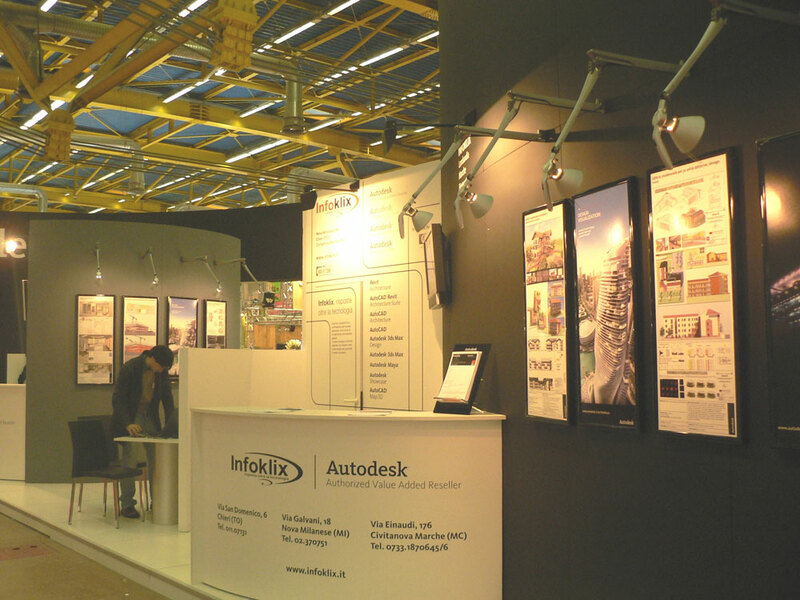 The project has been published in several magazines. 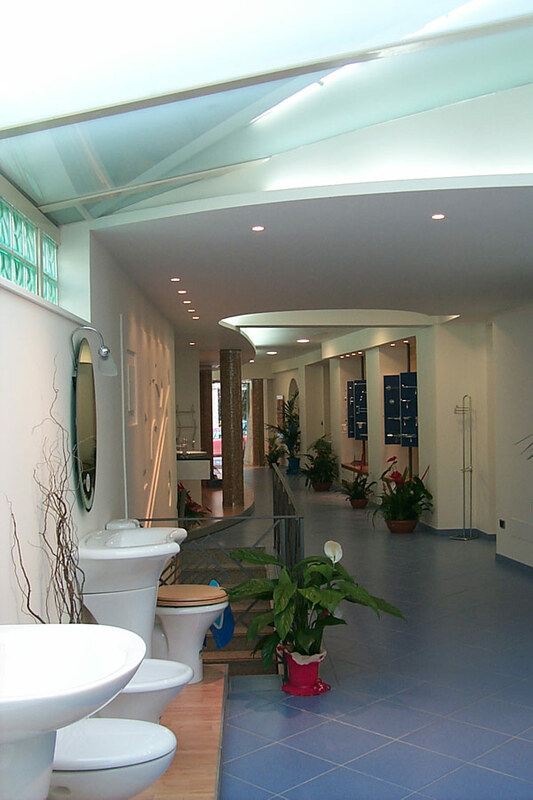 The project involved the interior design of the Bertani showroom in Reggio Emilia, over 2000 square meters of retail space divided on two floors with products, materials and furnishings for the bathroom. 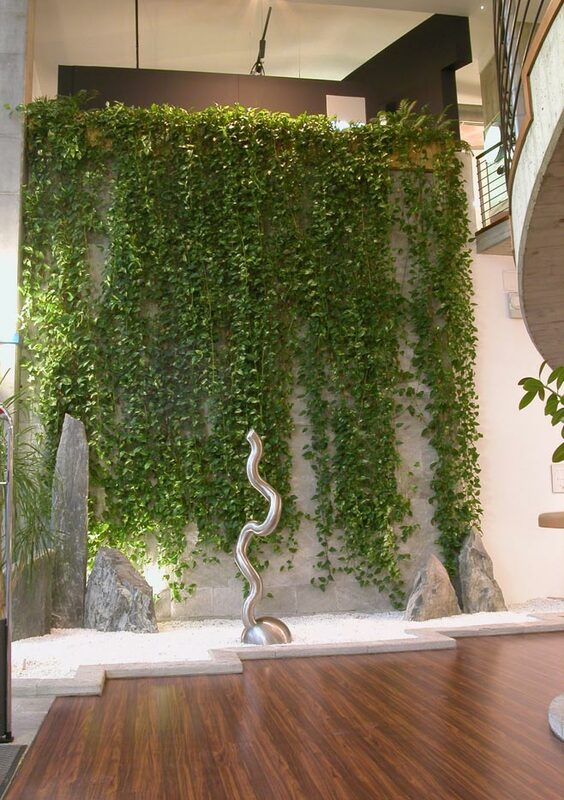 The design in characterized by the double-height atrium situated at the entrance into the showroom, featuring a large, suspended circular staircase of over six meters in diameter, and a five-meter wall covered in roughly hewn stone covered with a cascade of green plants. 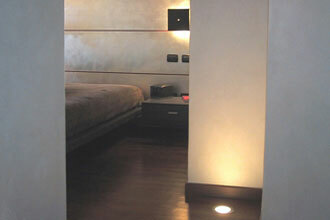 The stone-bordered filled with white pebbles set into the dark wood floor, recall Japanese landscape architecture. 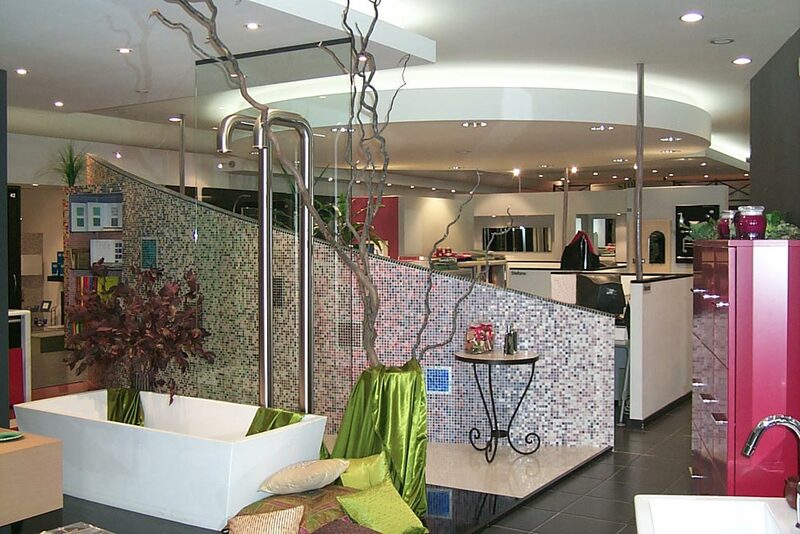 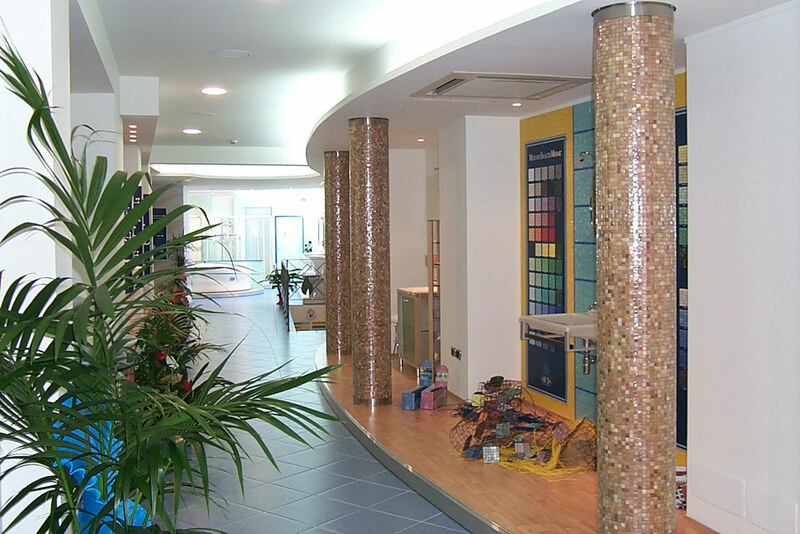 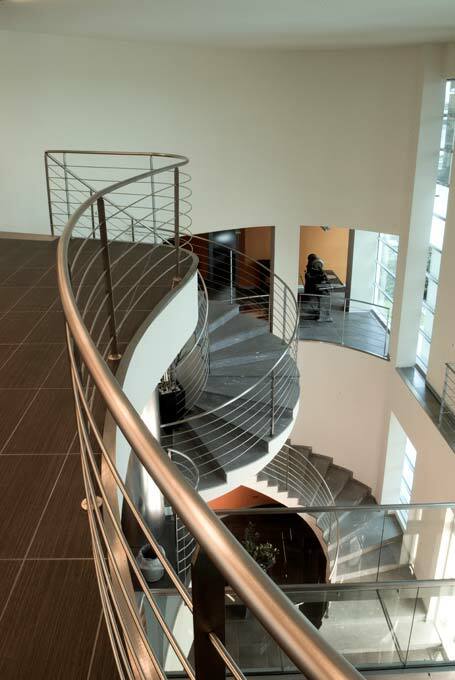 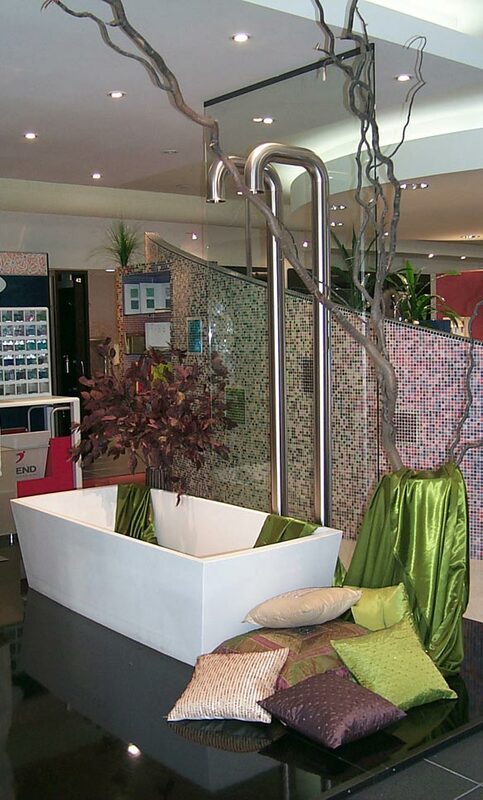 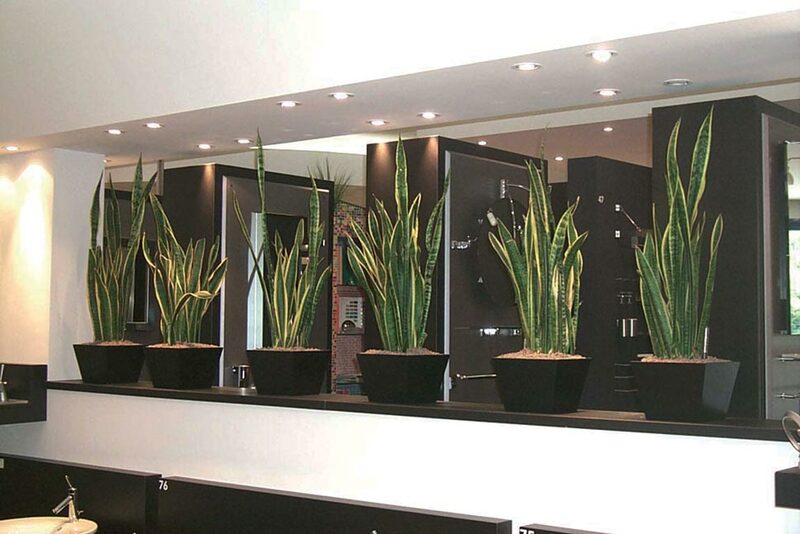 The showroom extends over the two floors, with a welcome area along the first floor balcony where clients can relax, have refreshments, consult magazines and watch technical and promotional videos of the products. This 500 square meter showroom is situated in Parma, and is designed to provide a specific display area for each single company represented. 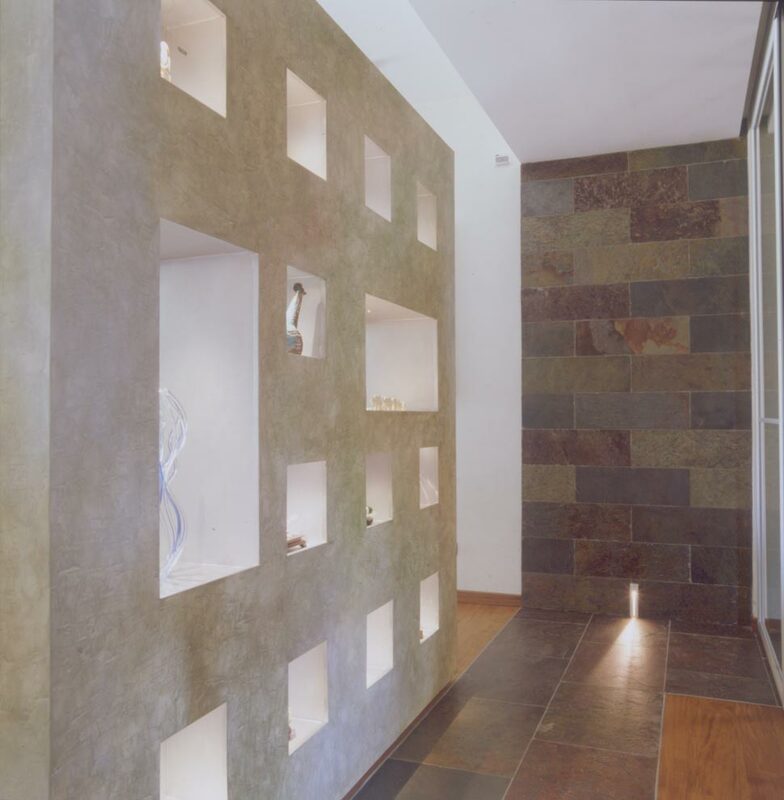 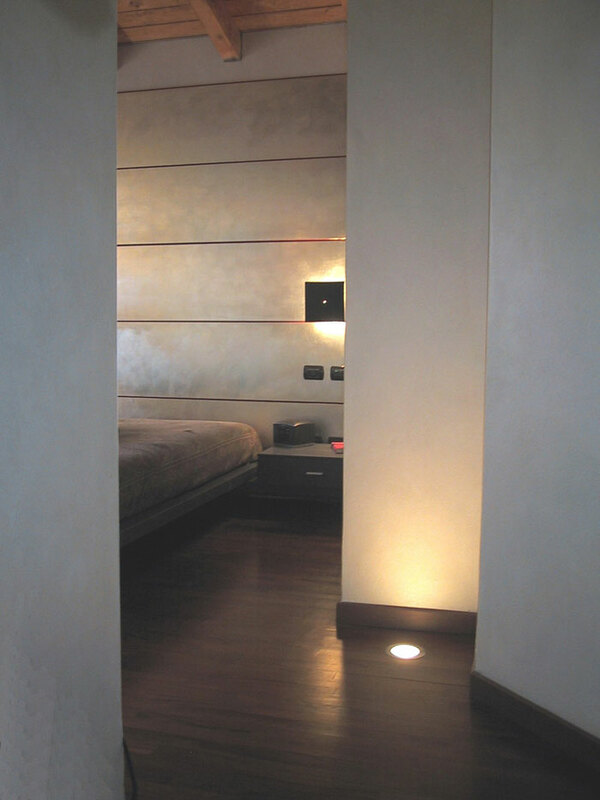 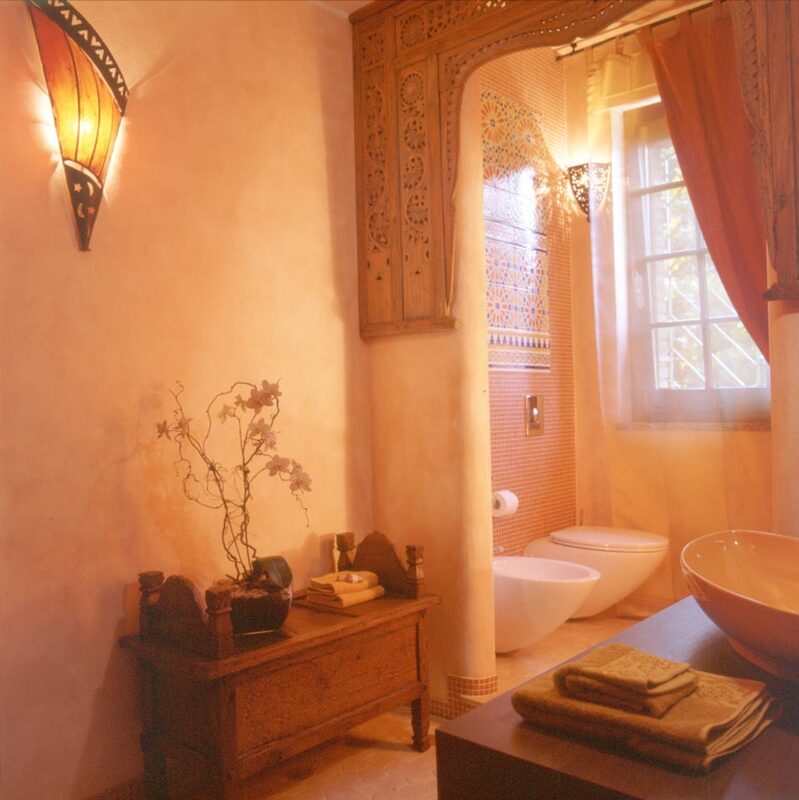 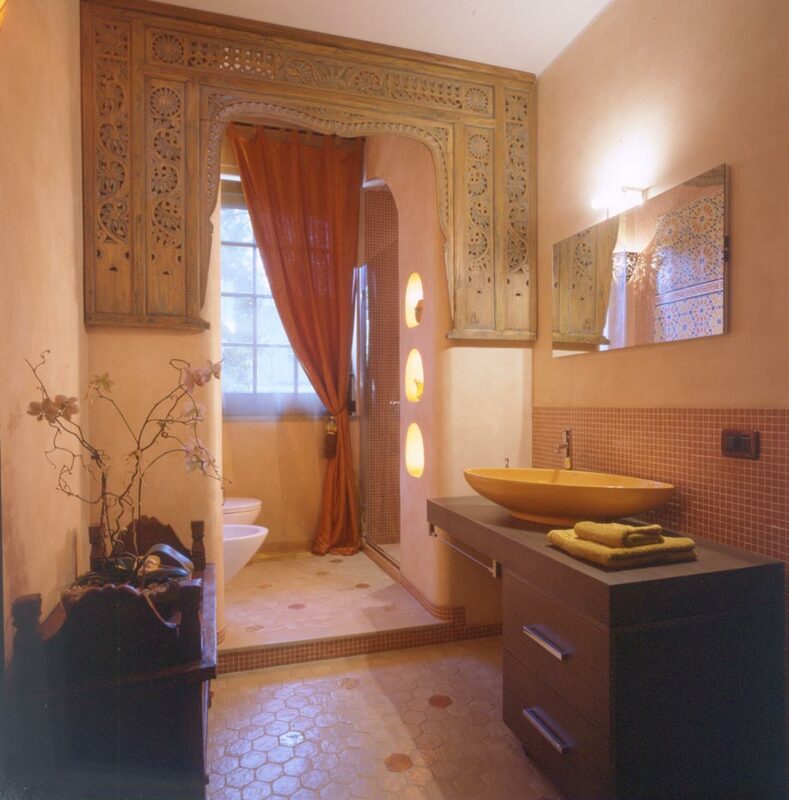 The decorative ceiling elements create an interesting lighting effect. 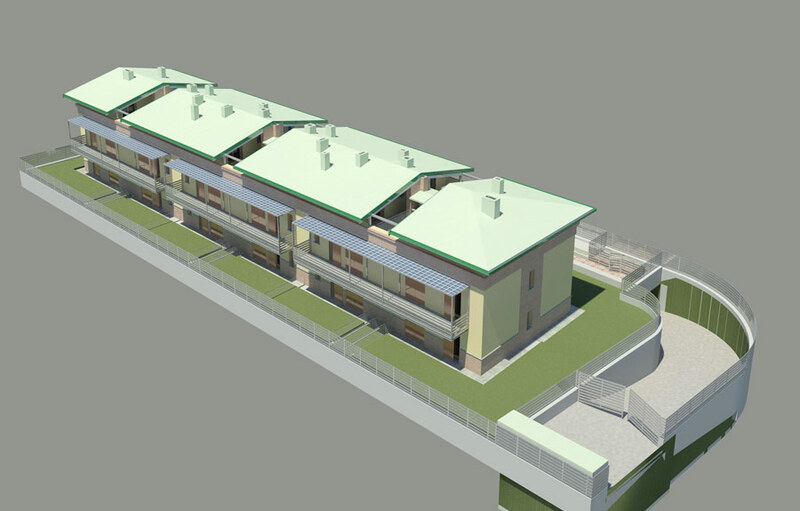 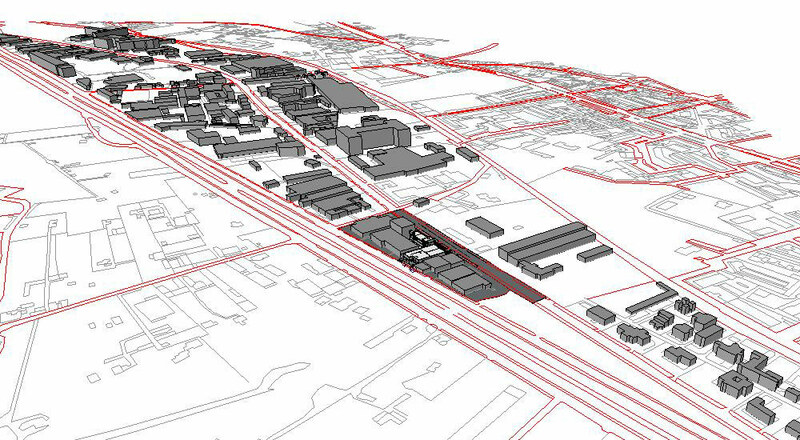 The study includes an analysis of the local urban context and property market, the feasibility regarding the change of use in terms of local and national building norms, preliminary design solutions with functional layouts of the internal and external spaces, and business plans with financial assessments of the solutions proposed. 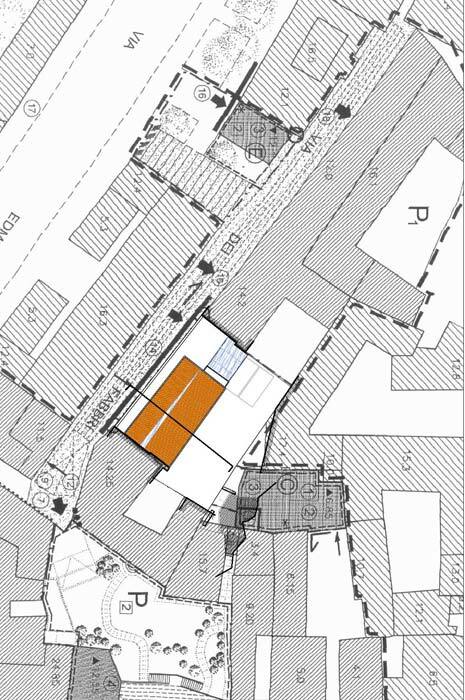 The design proposes a flexible solution organized around a central stairwell, that enables the space to be divided into up to 5 retail outlets, including a café on the top floor with a roof-top terrace. 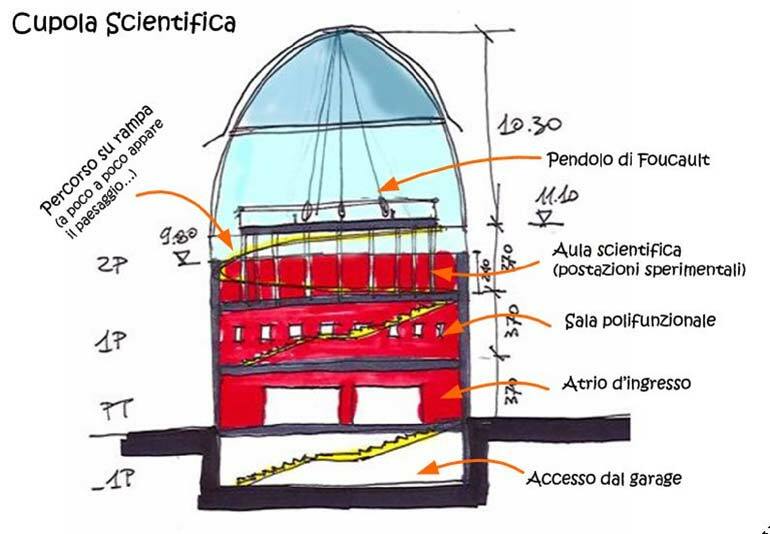 The main façade faces north-east, and so the design includes the proposal for a glass façade without risking overheating in the hot summer months. 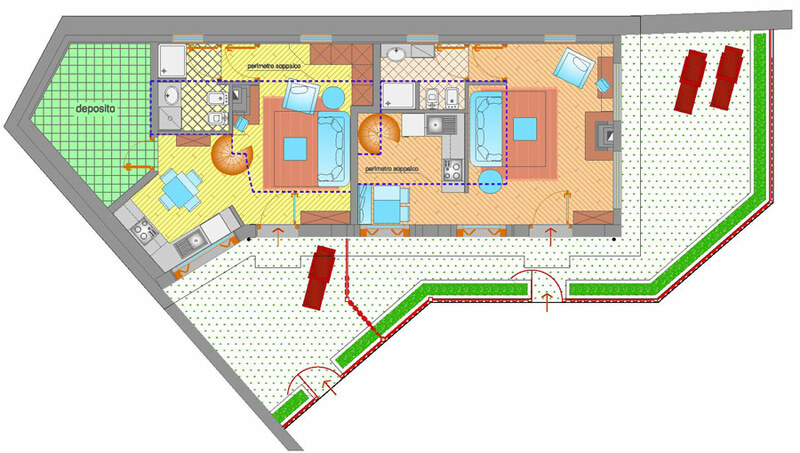 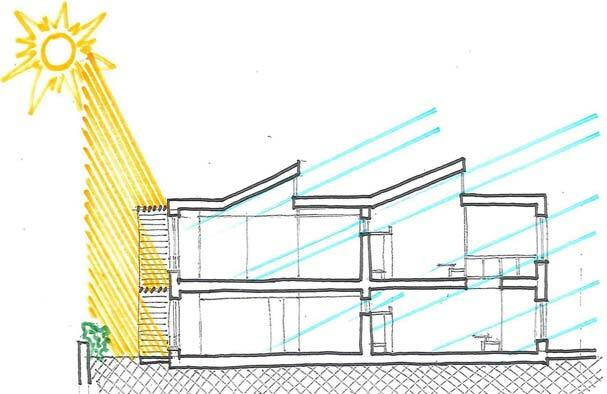 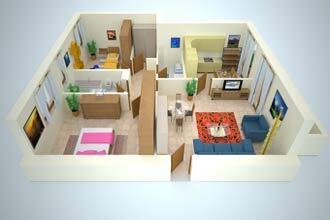 The design includes energy analyses and proposals for energy efficiency based on renewable energy supplies. 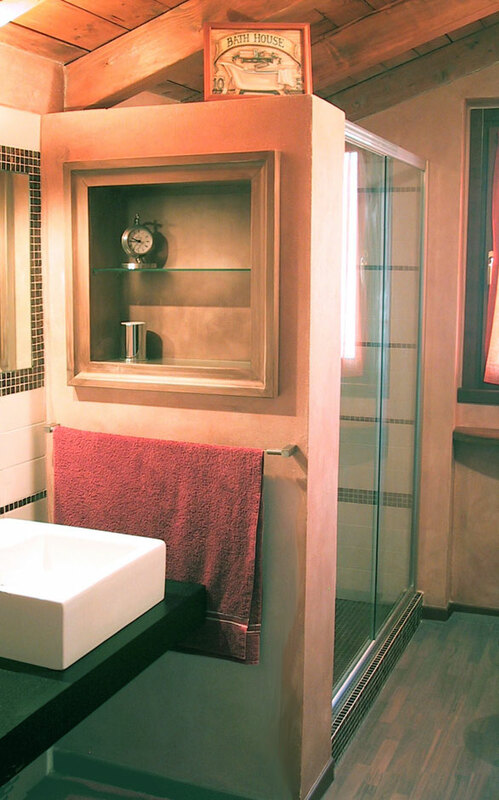 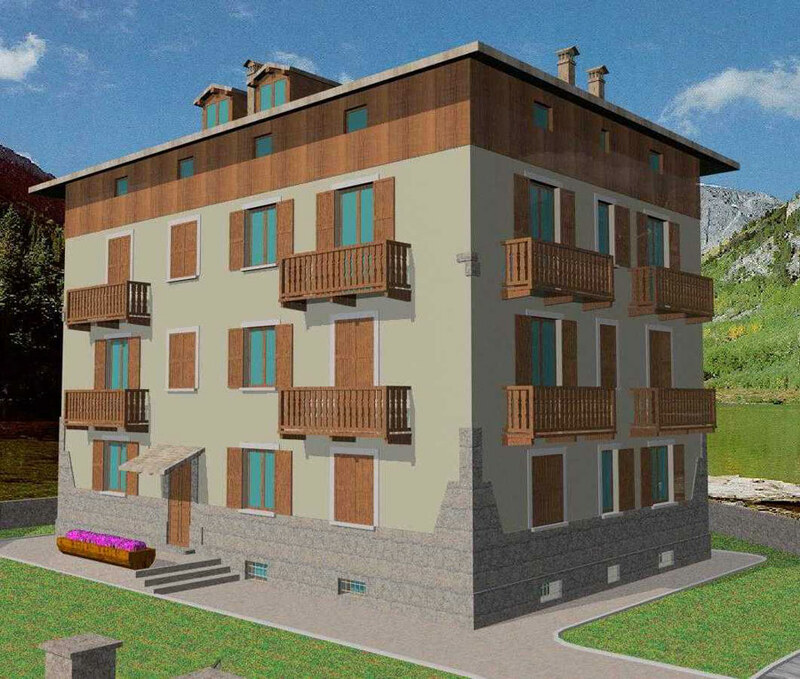 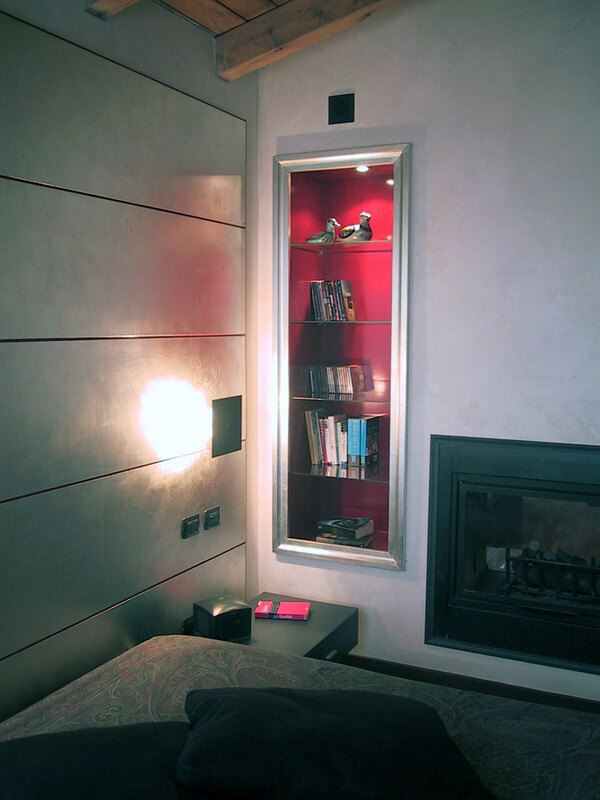 The complex, situated near the noted ski resort of Cervinia, was originally built to house managers of Enel and has been completely refurbished in the project. 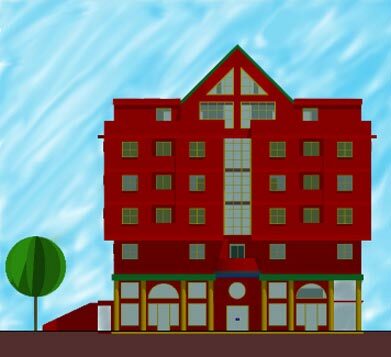 The main building is built on 4 floors and consists of 13 flats and a small wellness centre with sauna and Turkish bath in the basement. 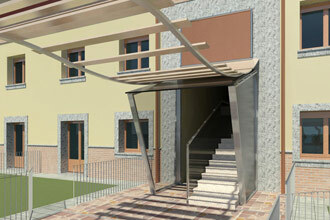 The old outhouse, originally used as a garage, has been demolished and rebuilt to house two new flats. 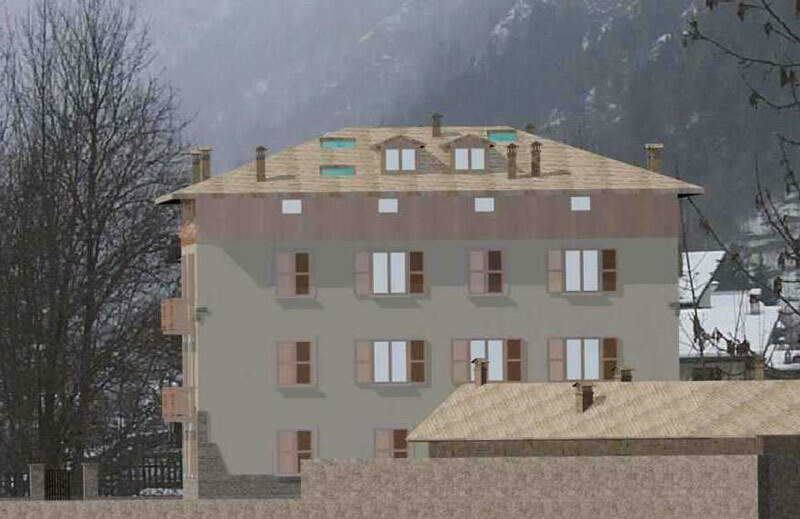 The design features new facades faced with local stone and ample windows, whilst the mansard flats have new roofs in laminated wood and local slate tiles. 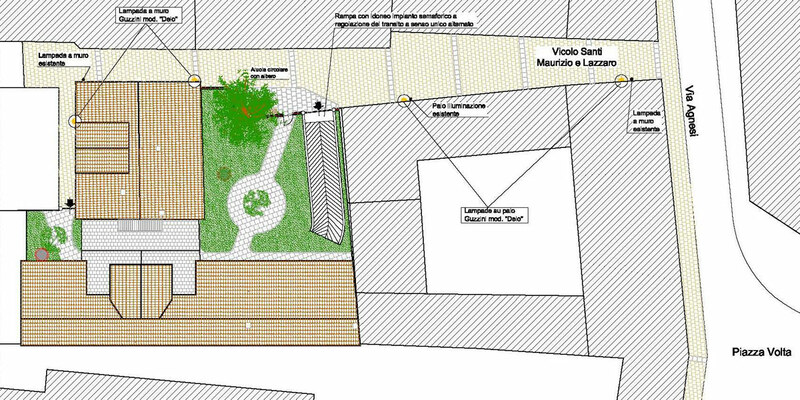 The project included the design of the external spaces, including the green picnic area situated adjacent to the Marmore torrent. 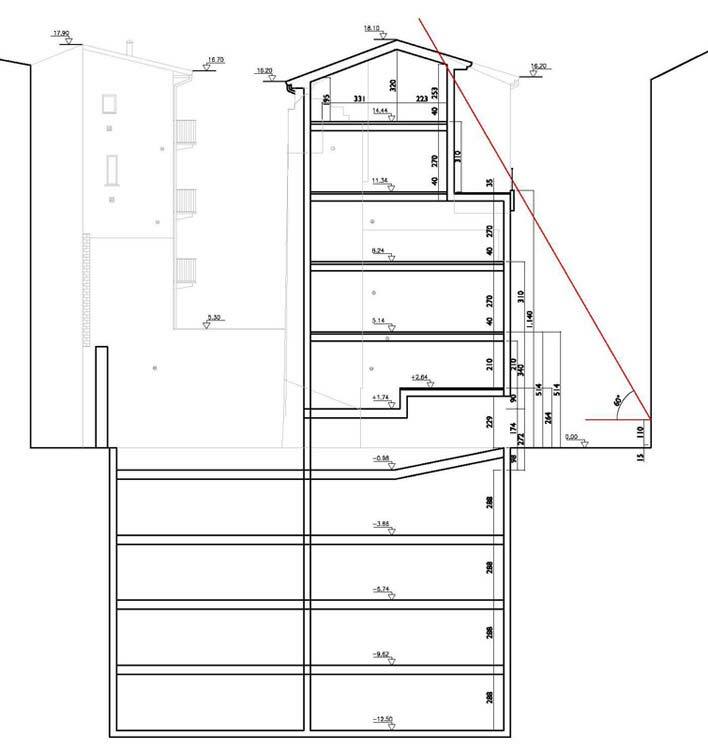 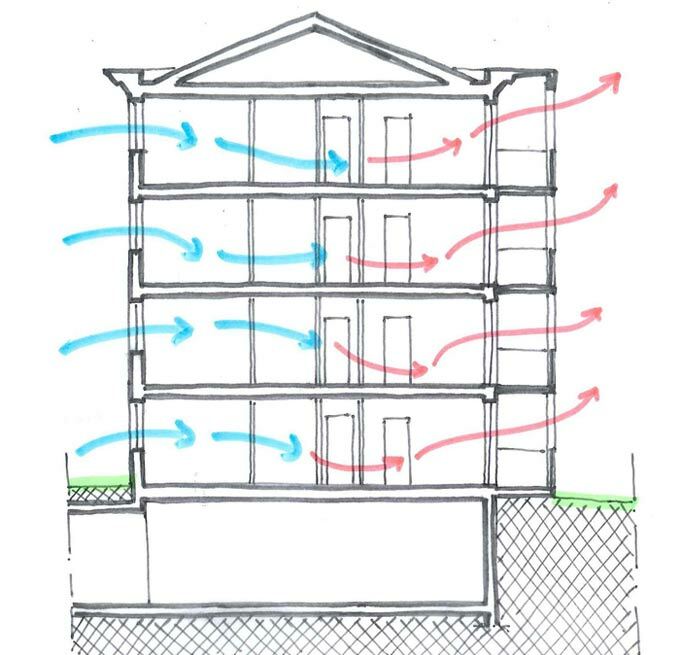 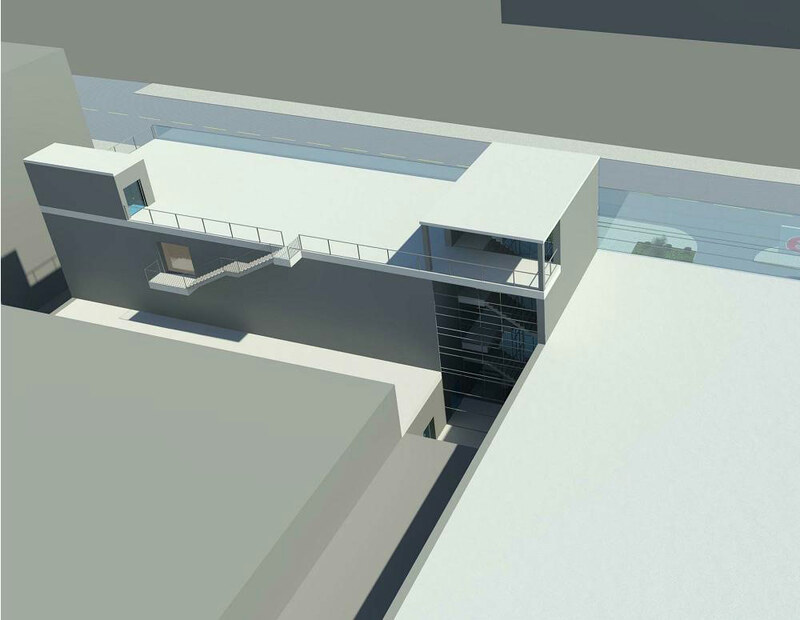 The design aimed to optimize the maximum floor space allowed by local building regulations, by connecting large basements to the flats on the ground floor and mansards with large roof terraces to the flats on the first floor. 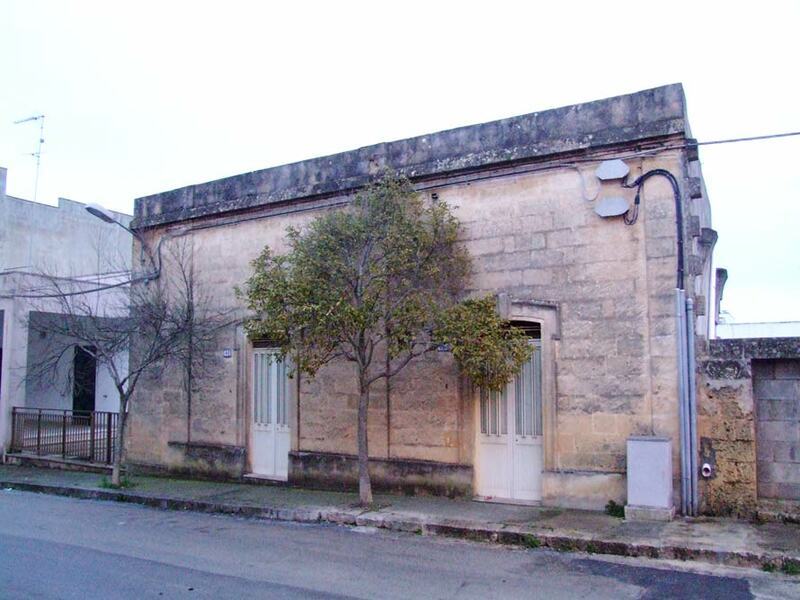 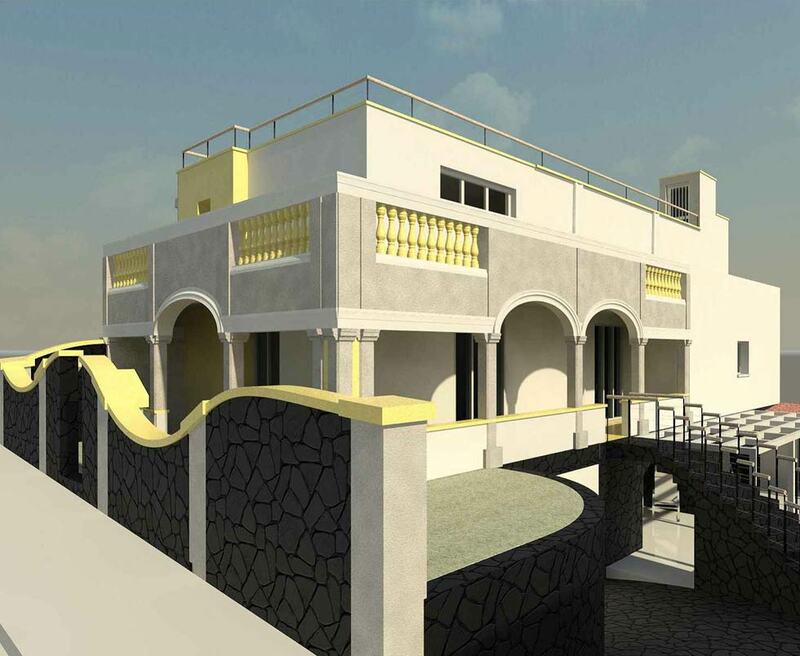 The project, currently under construction, involved obtaining planning permission to demolish the existing buildings situated in the historical centre of the town, in order to build a new complex consisting of 14 flats and an underground parking area. 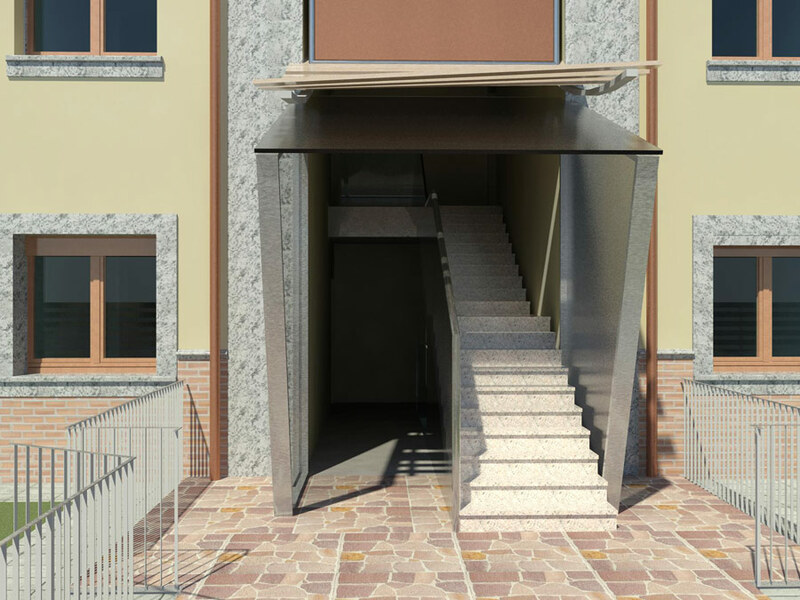 The design recalls the traditional architecture of the north-Milan region, featuring a central courtyard and brick arches over ample modern glass windows.